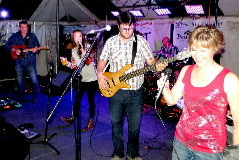 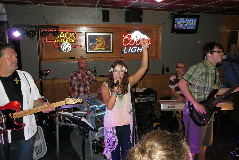 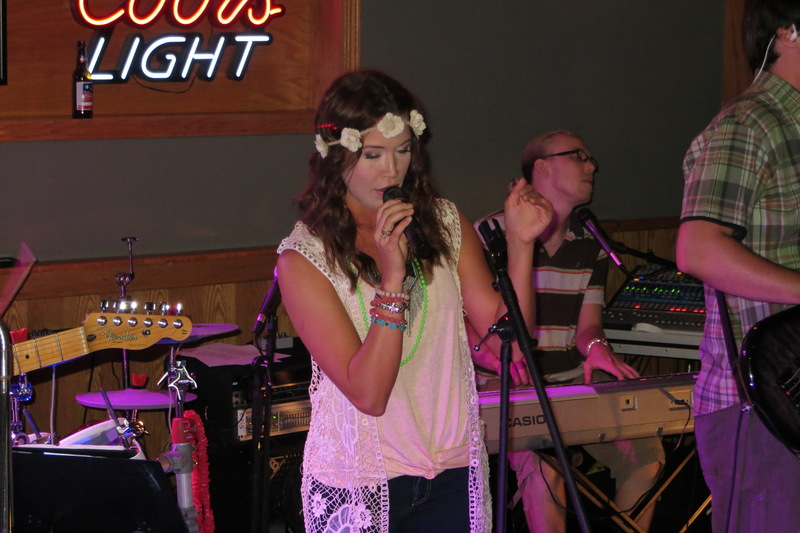 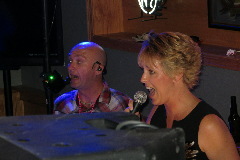 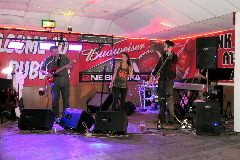 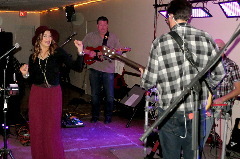 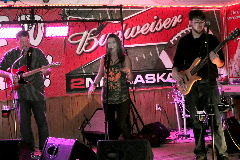 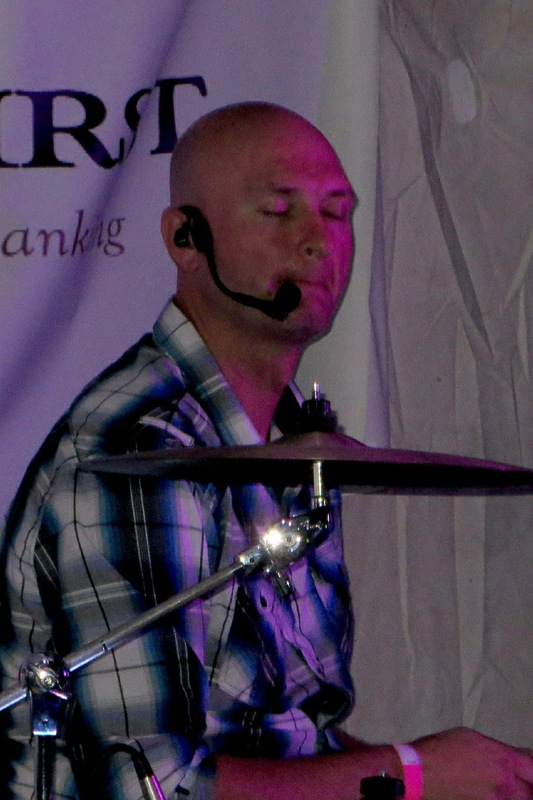 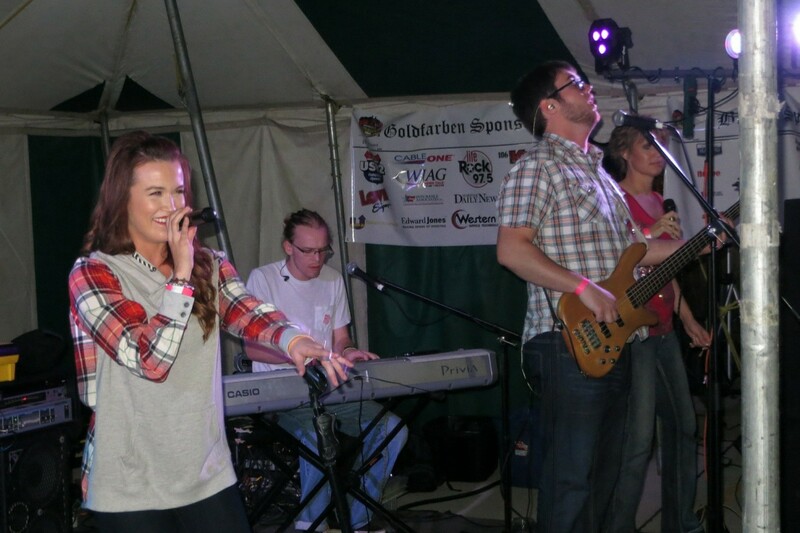 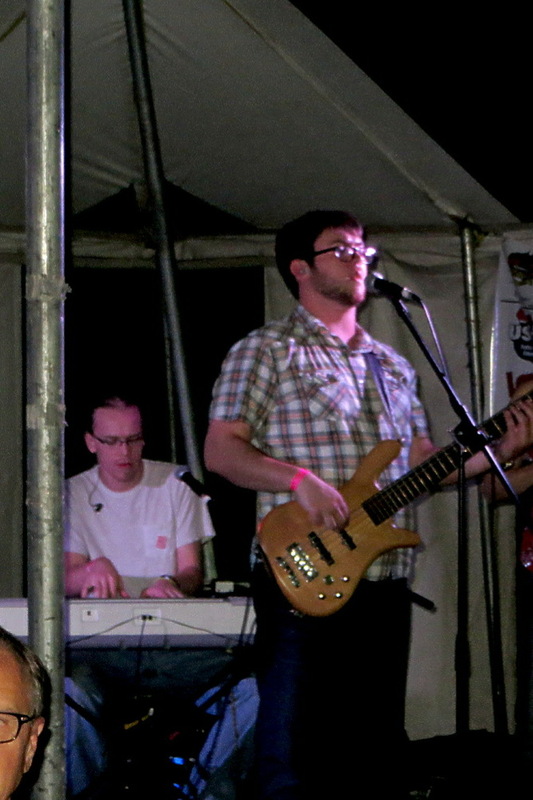 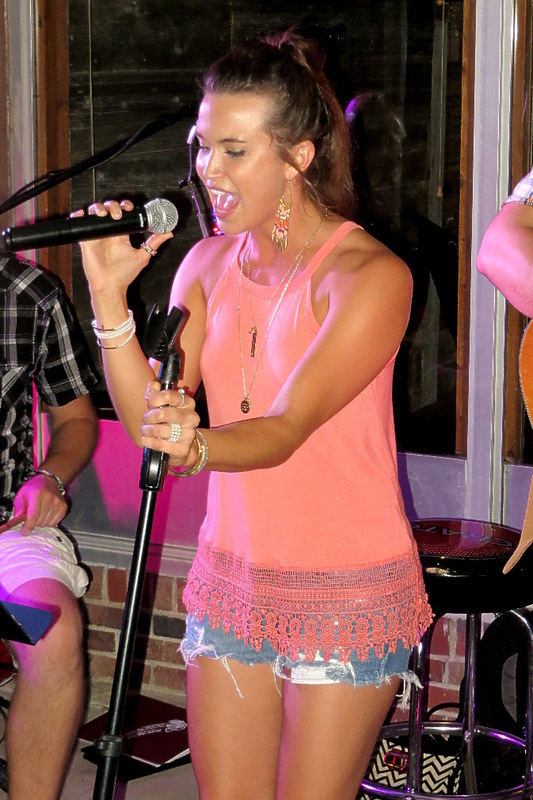 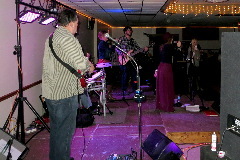 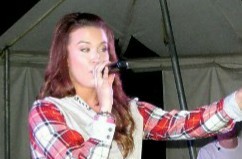 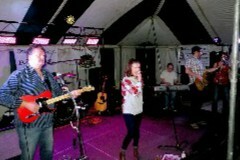 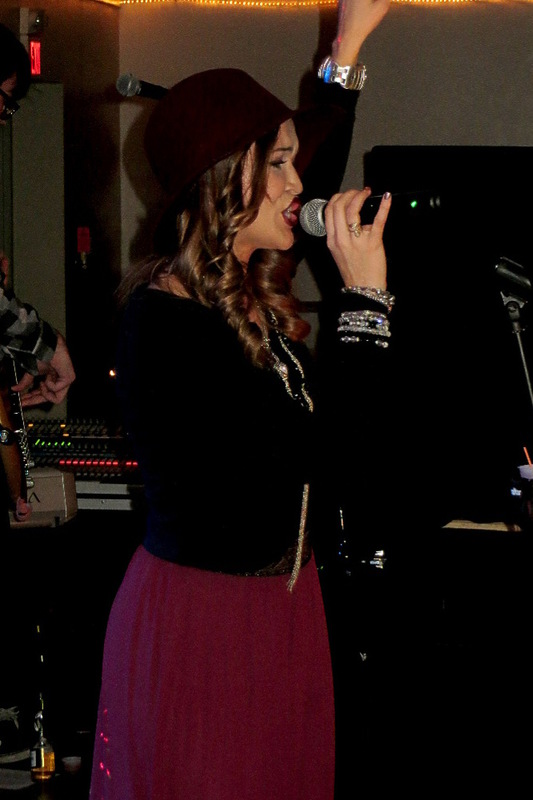 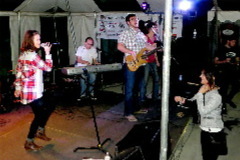 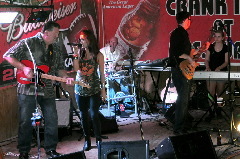 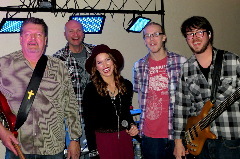 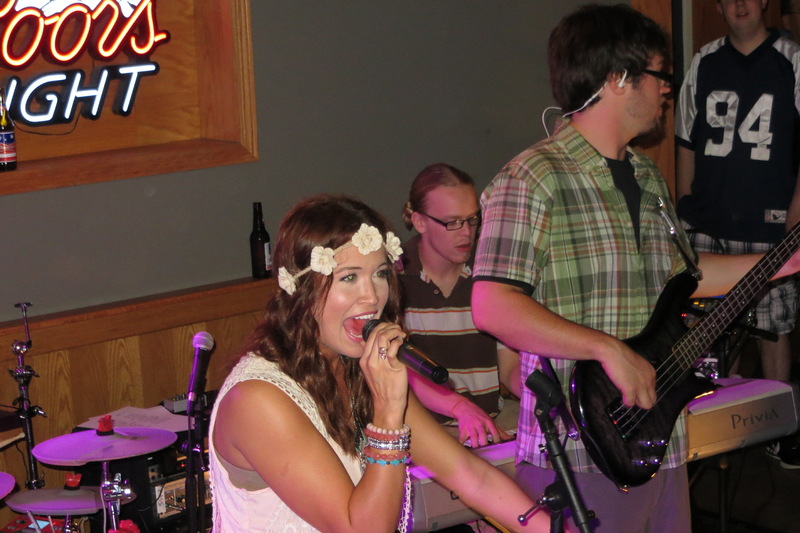 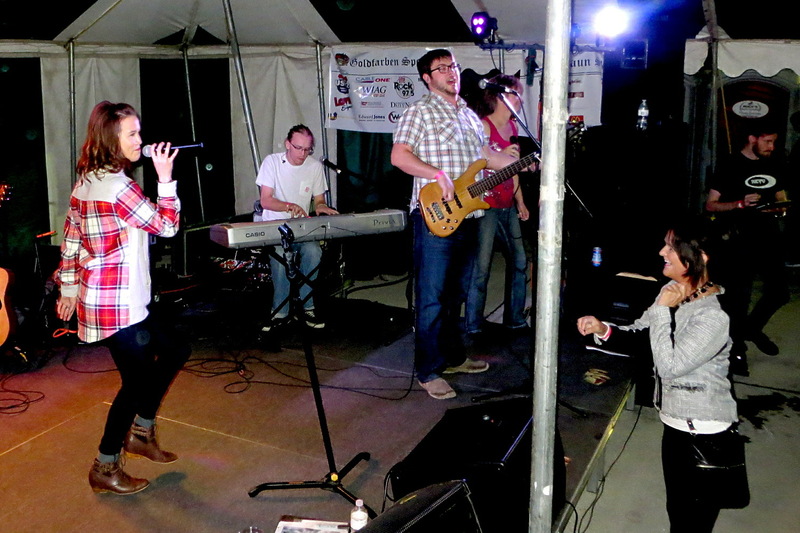 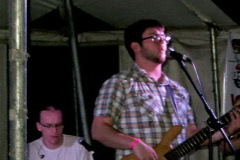 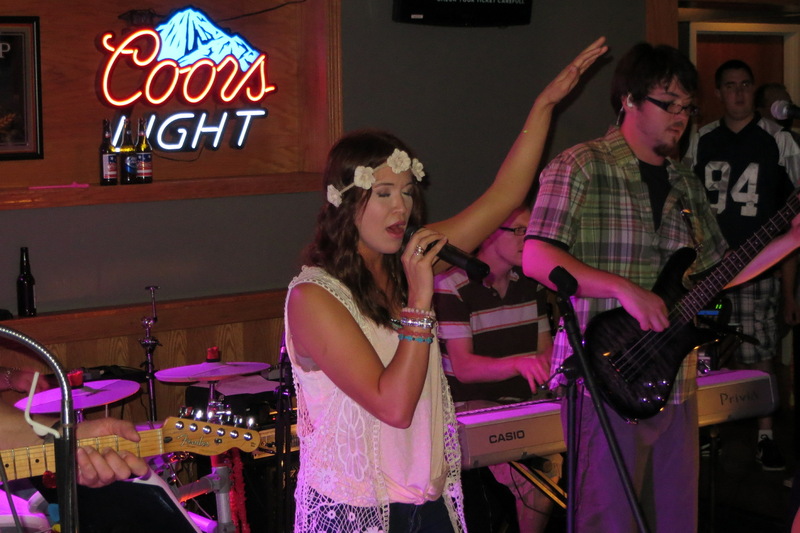 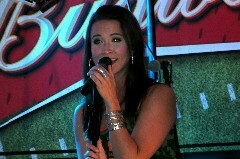 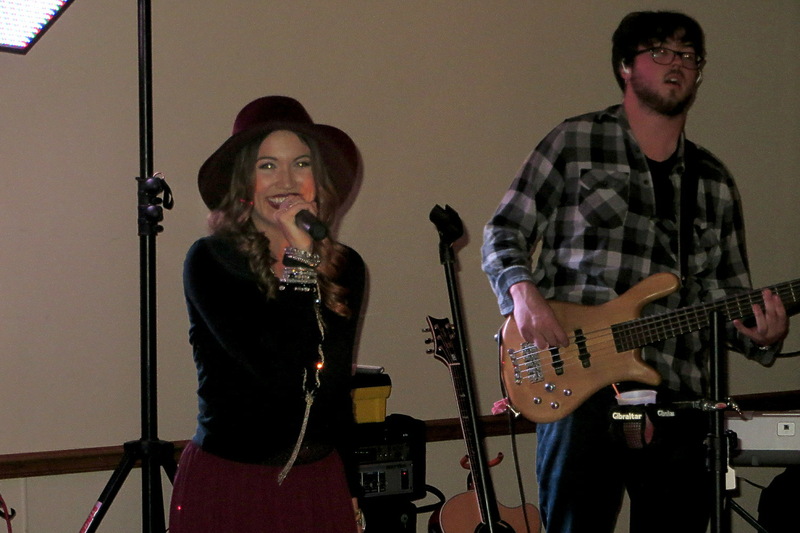 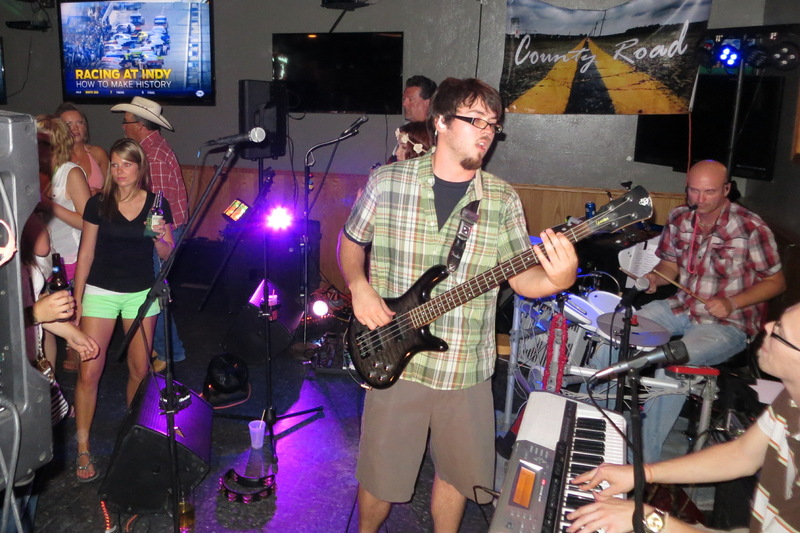 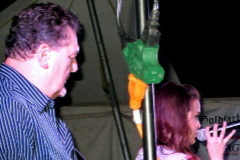 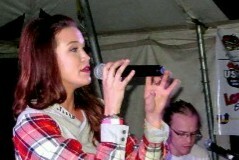 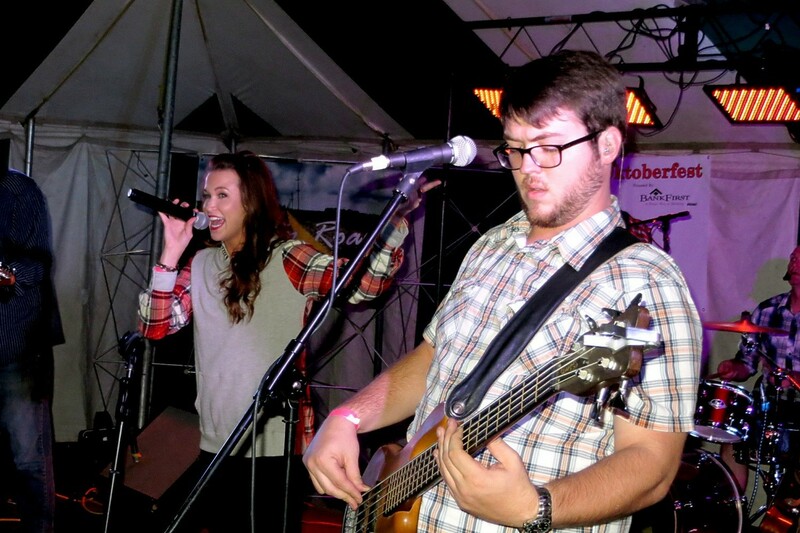 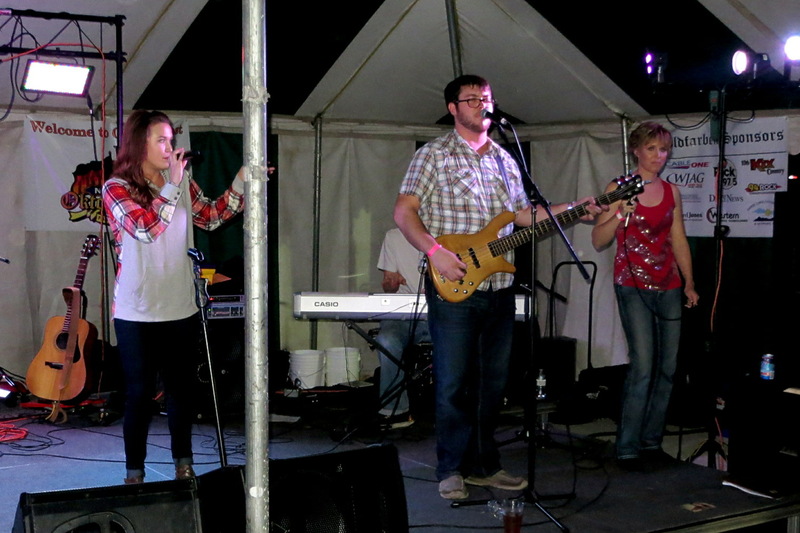 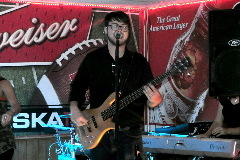 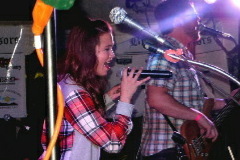 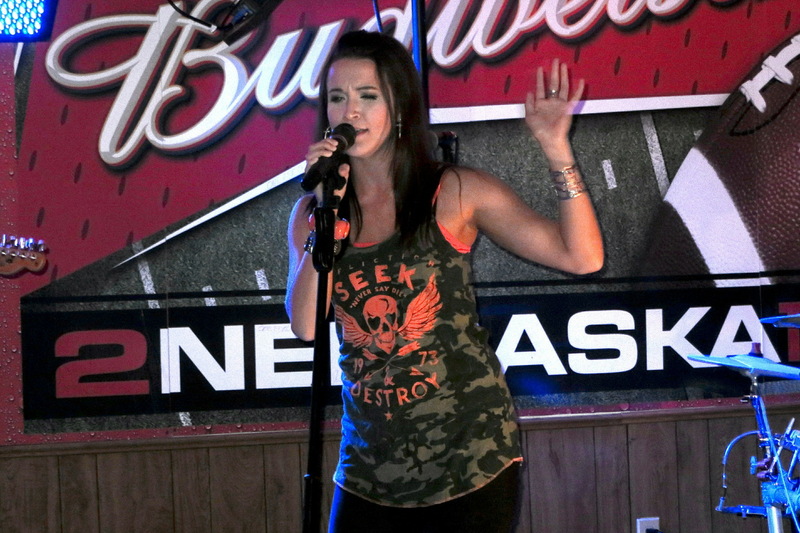 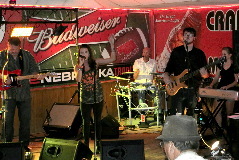 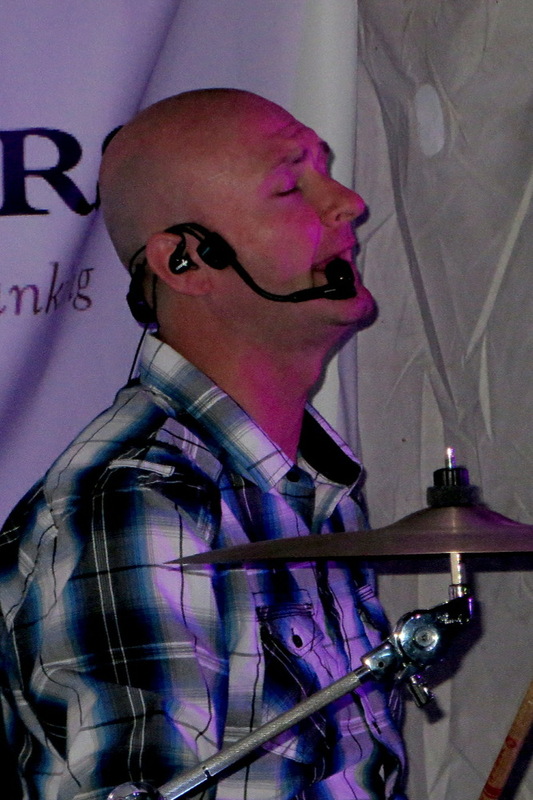 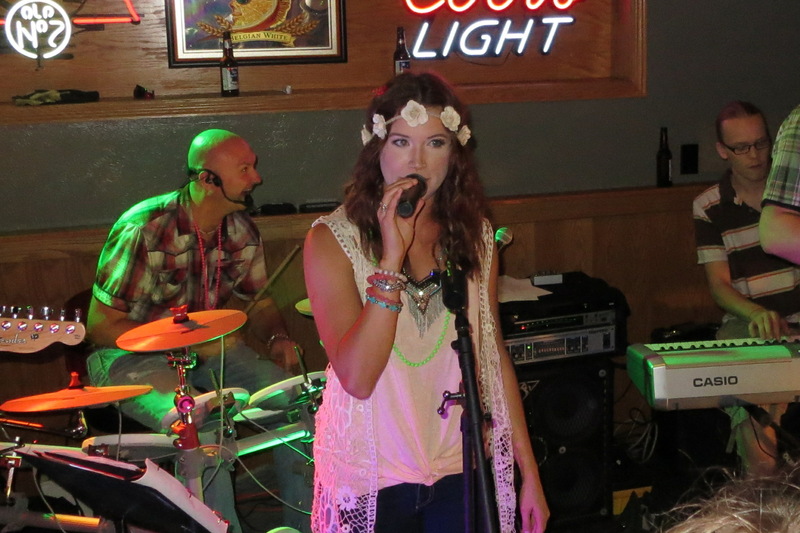 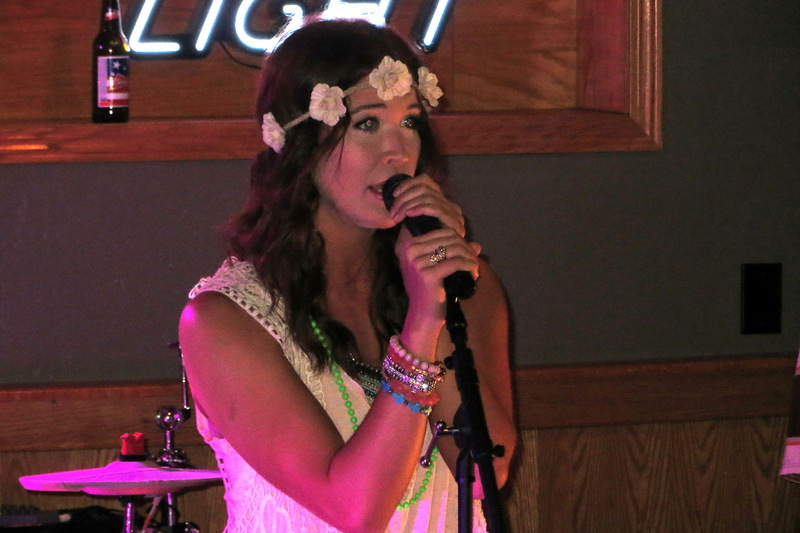 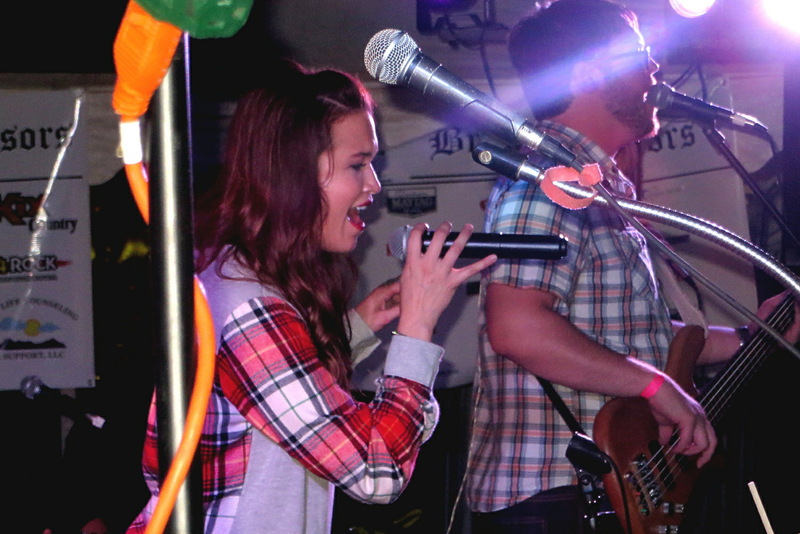 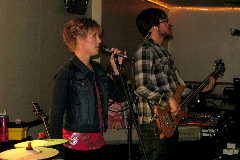 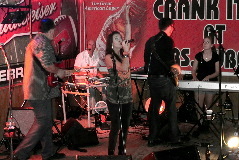 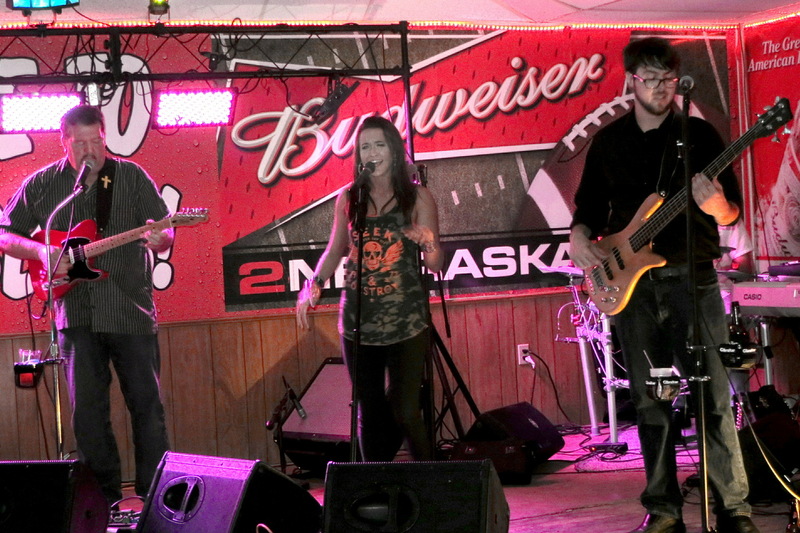 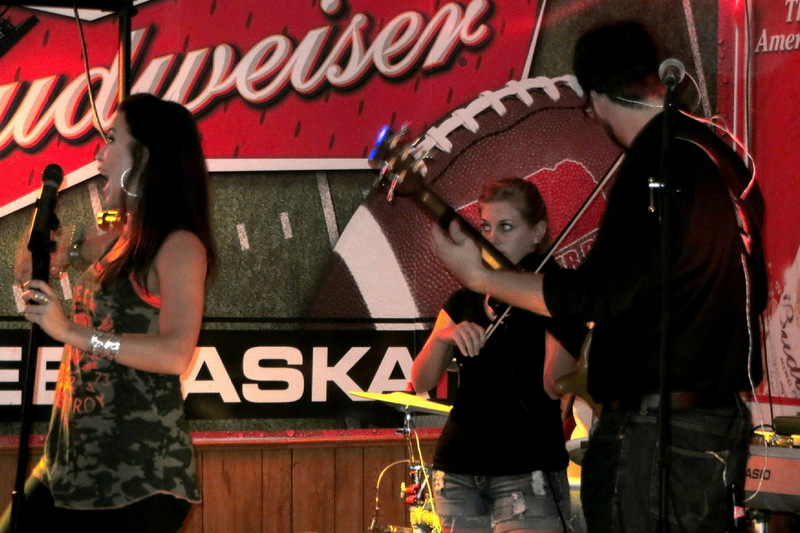 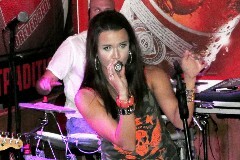 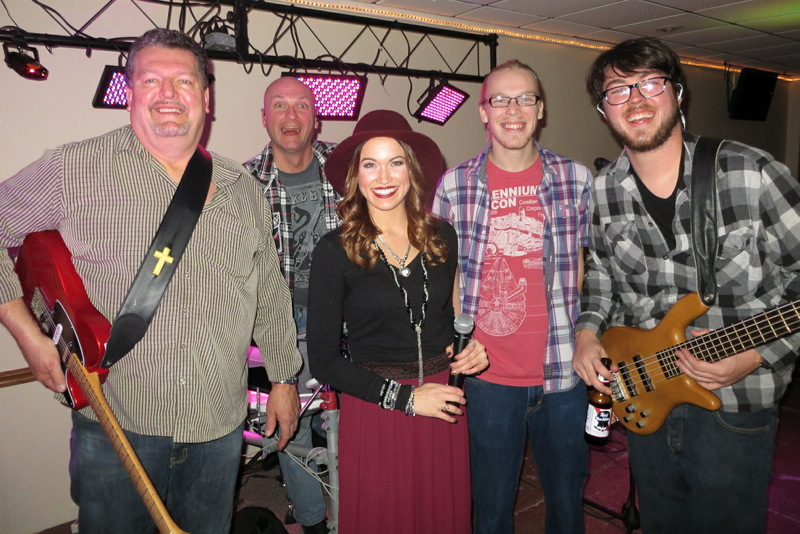 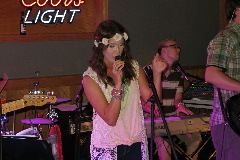 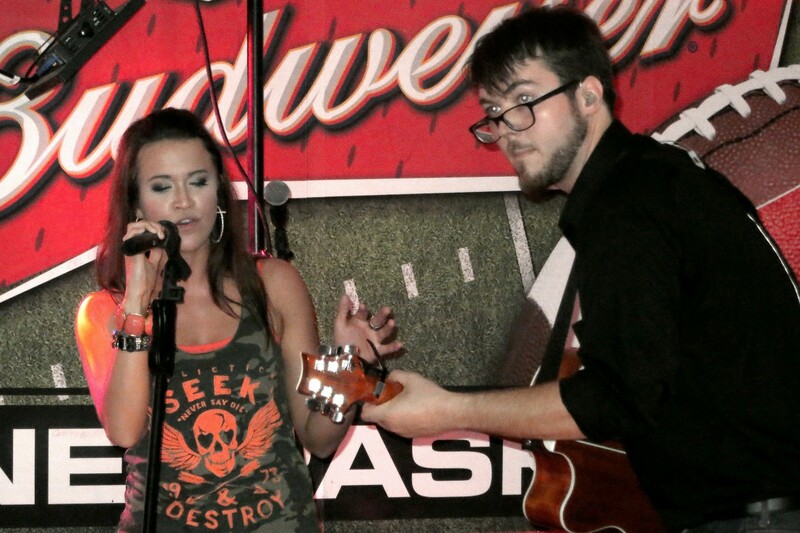 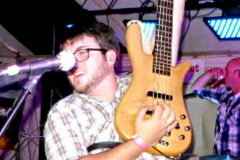 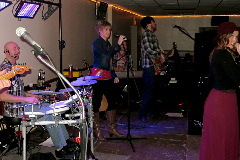 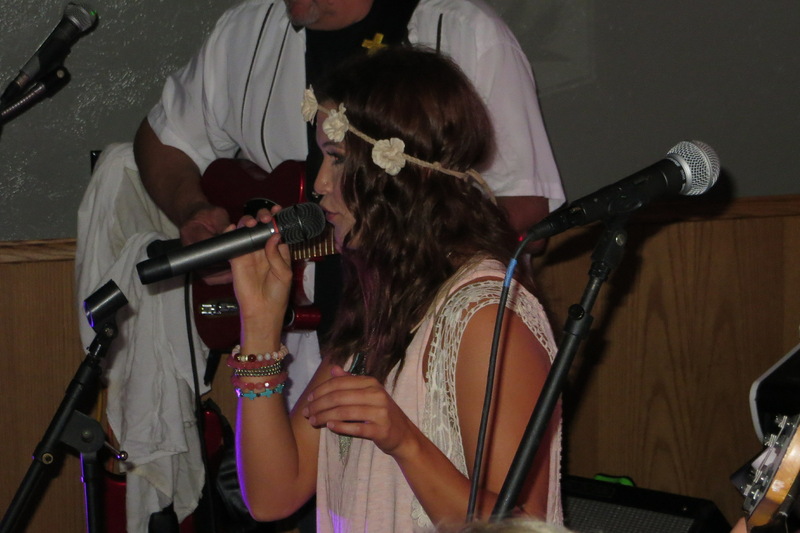 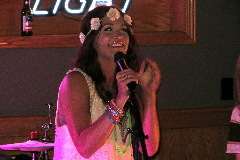 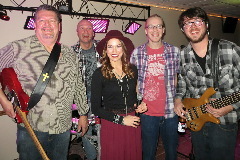 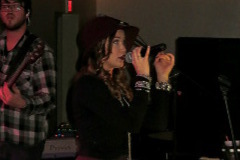 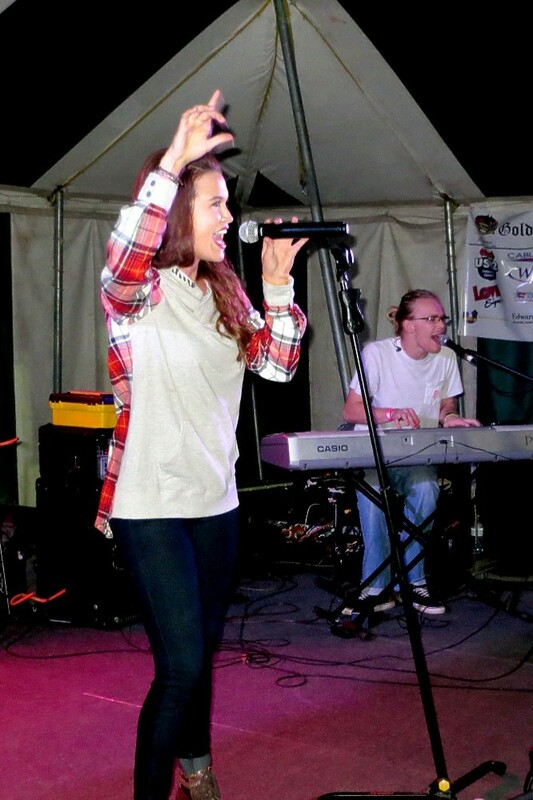 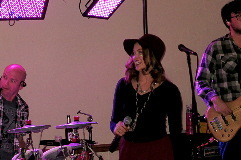 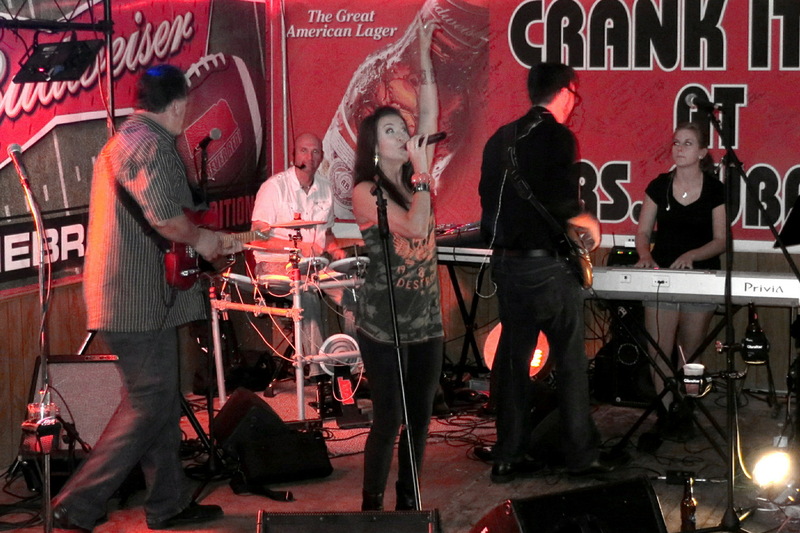 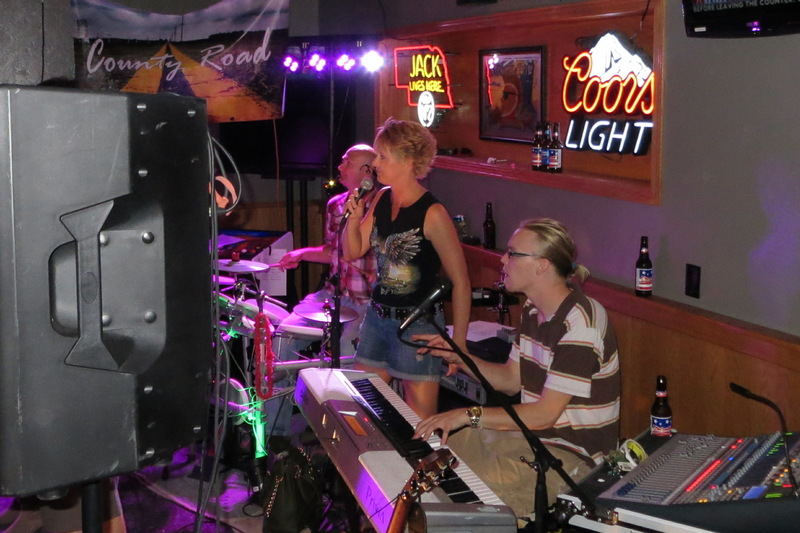 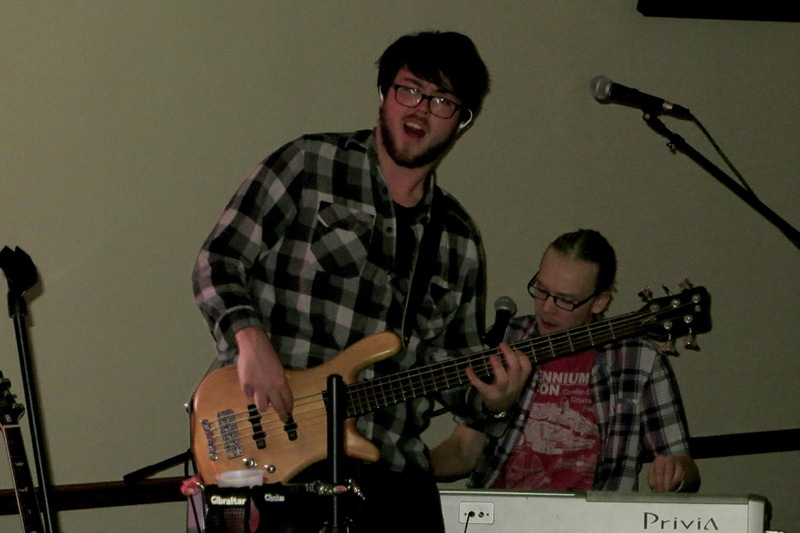 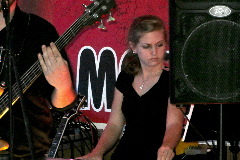 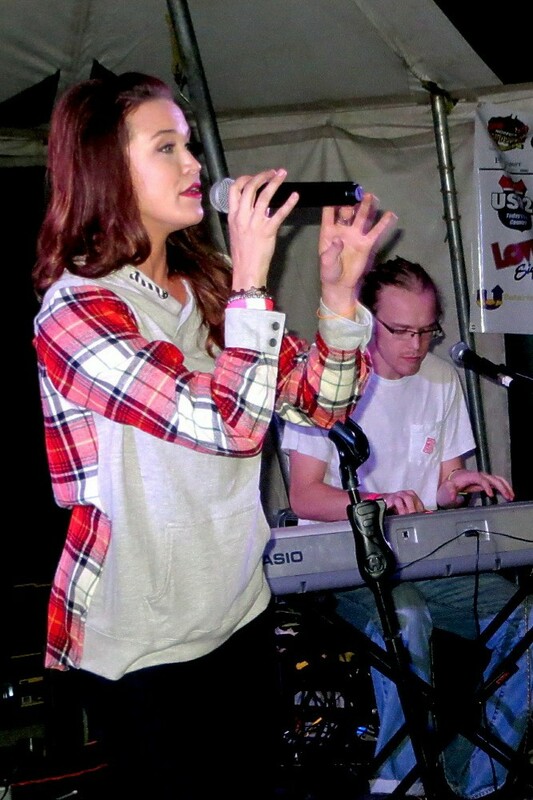 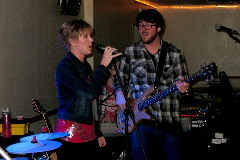 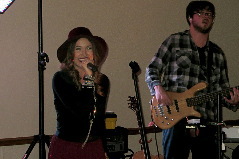 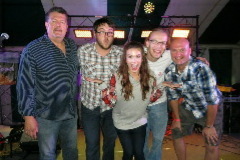 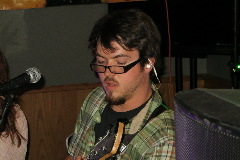 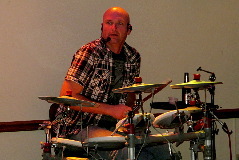 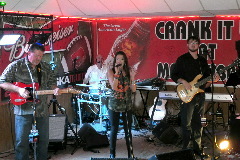 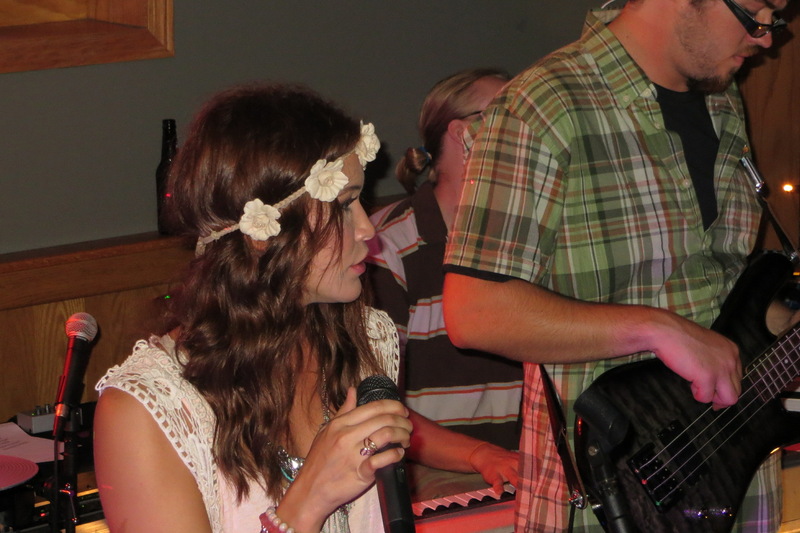 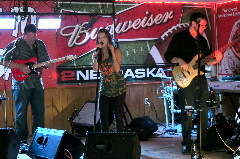 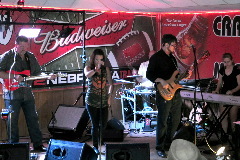 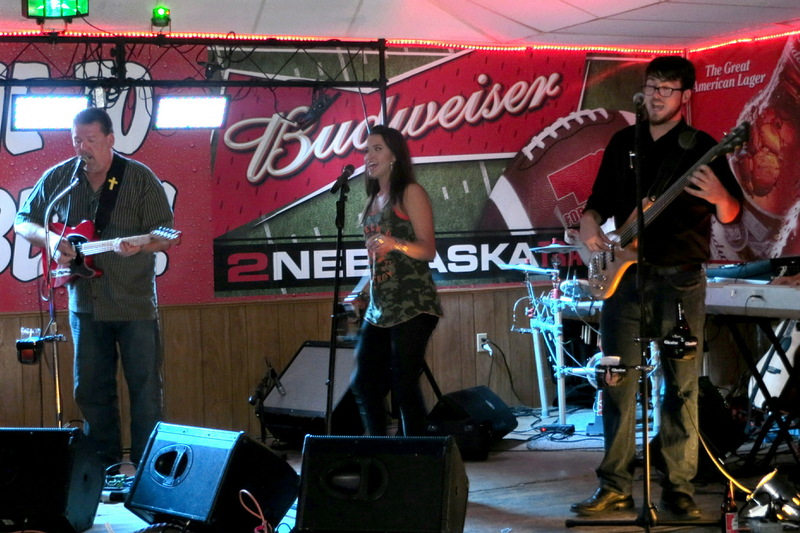 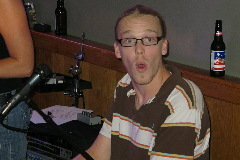 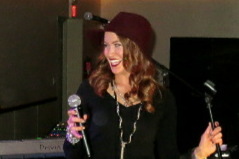 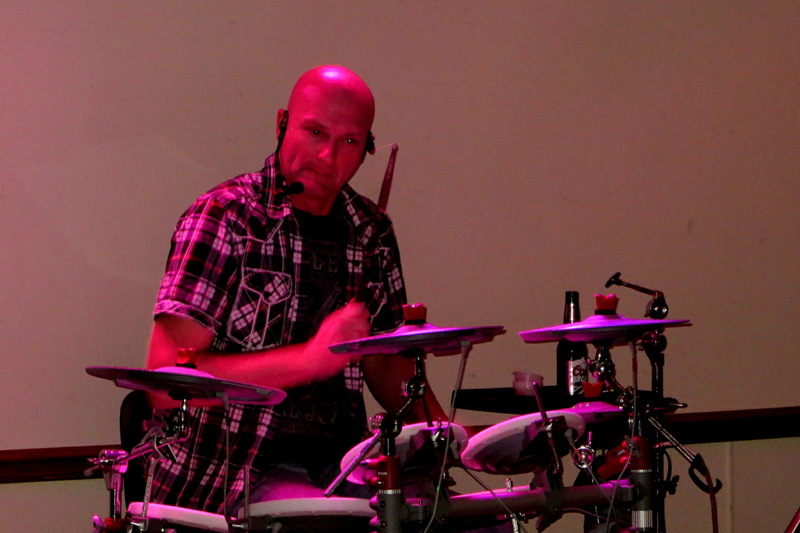 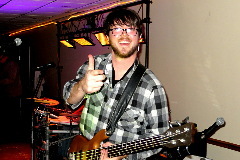 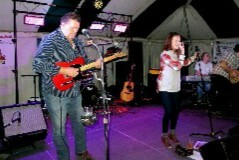 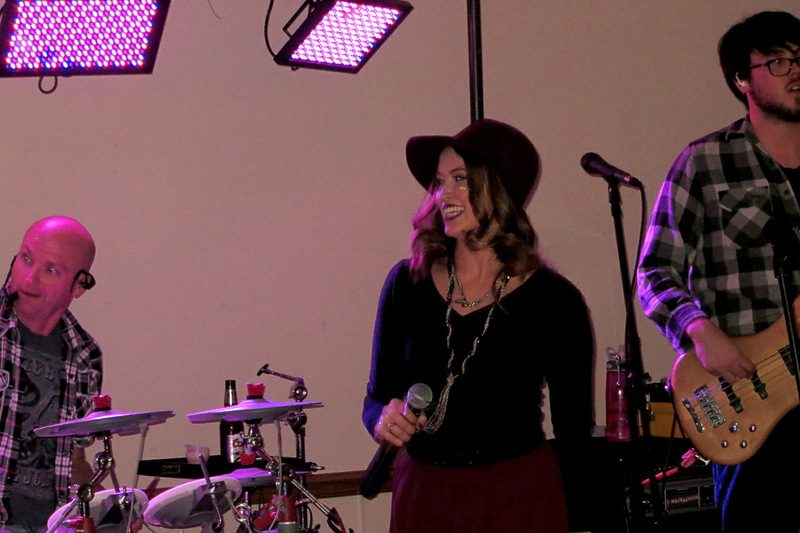 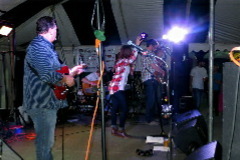 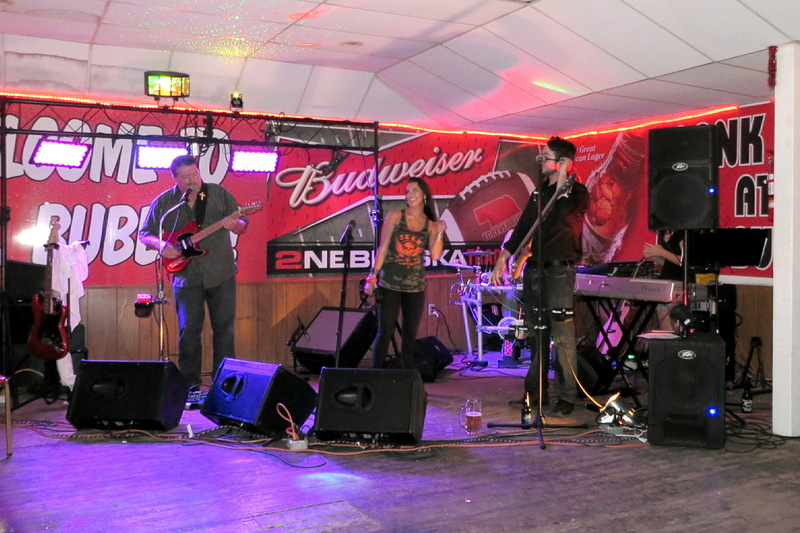 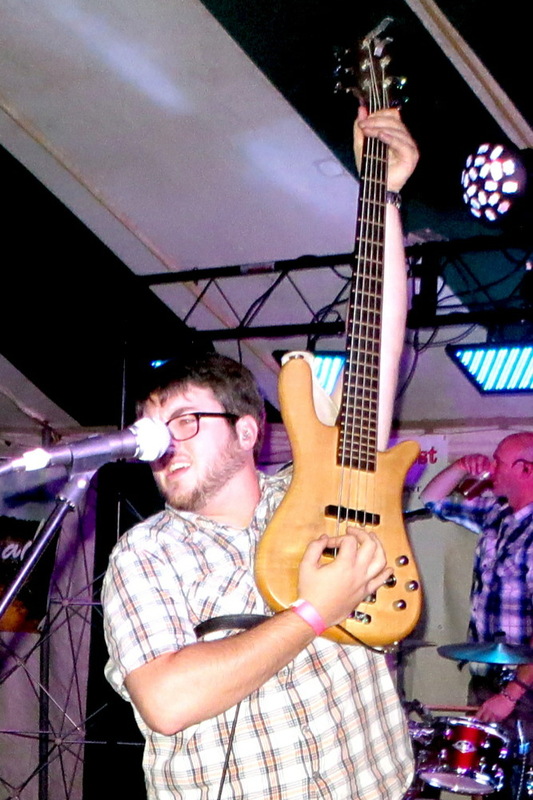 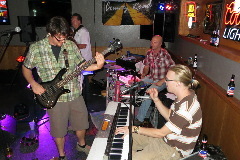 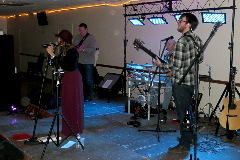 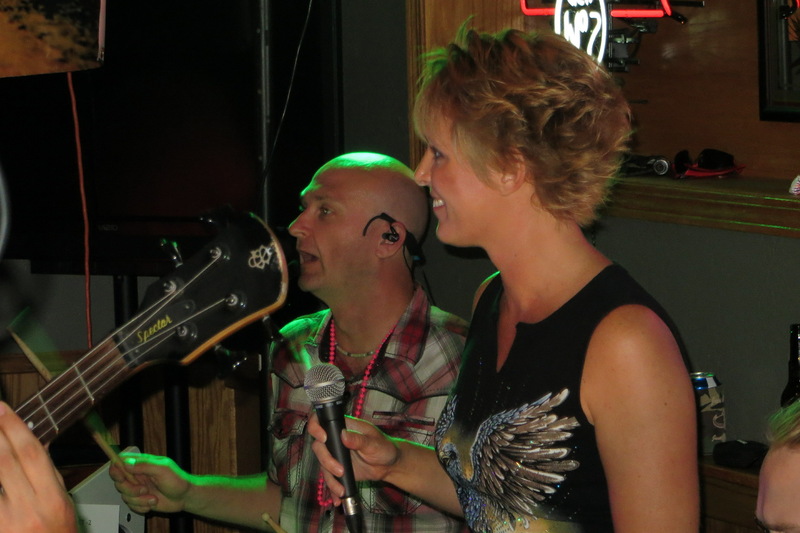 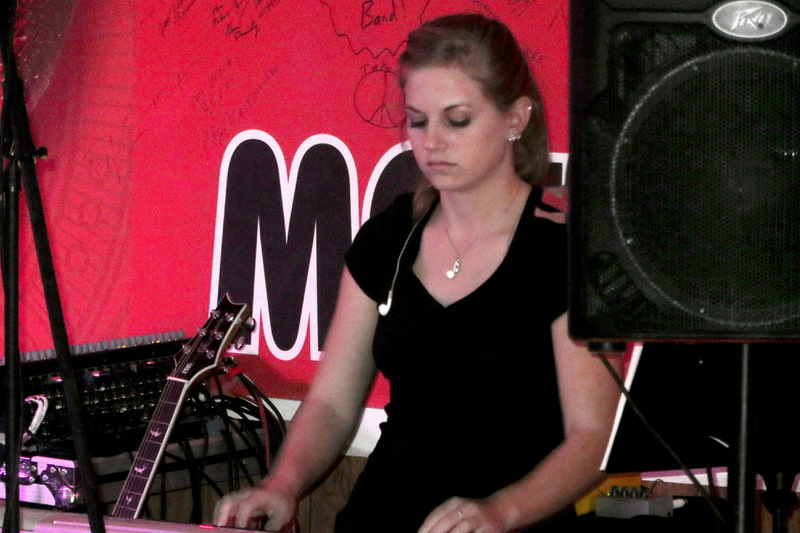 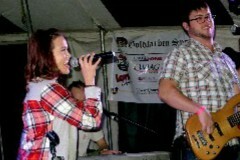 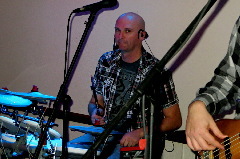 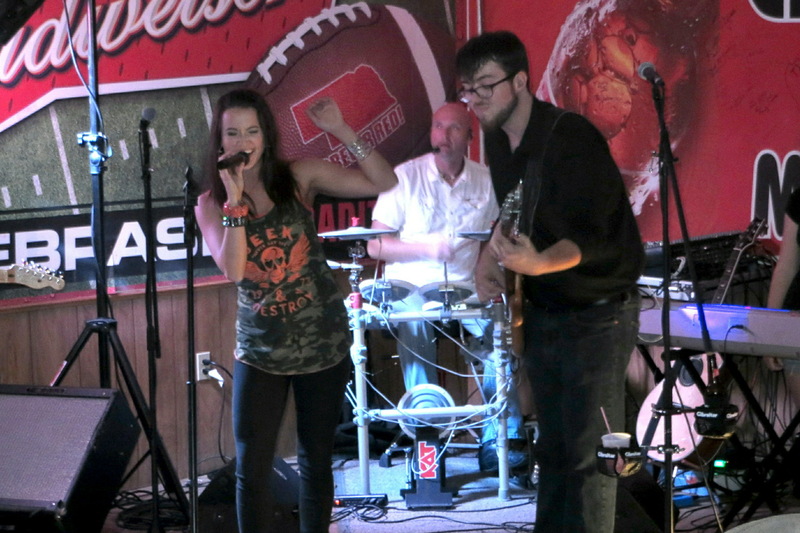 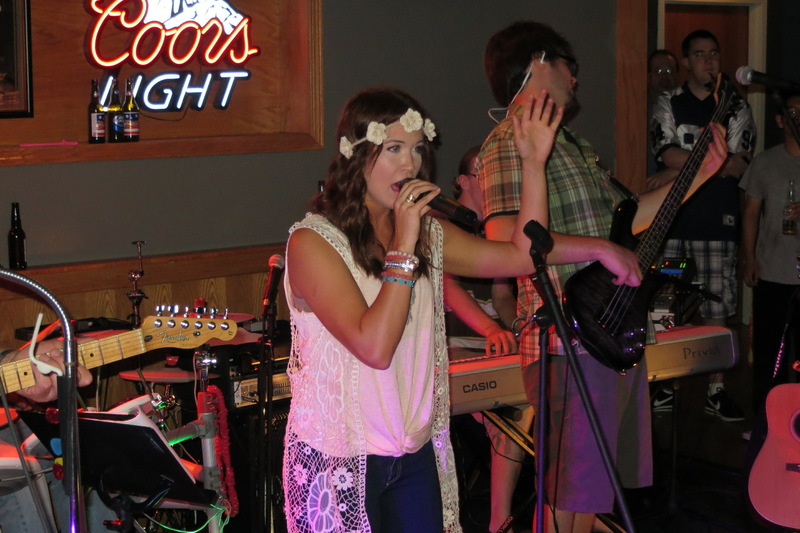 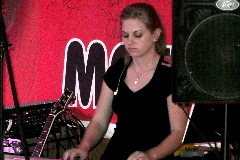 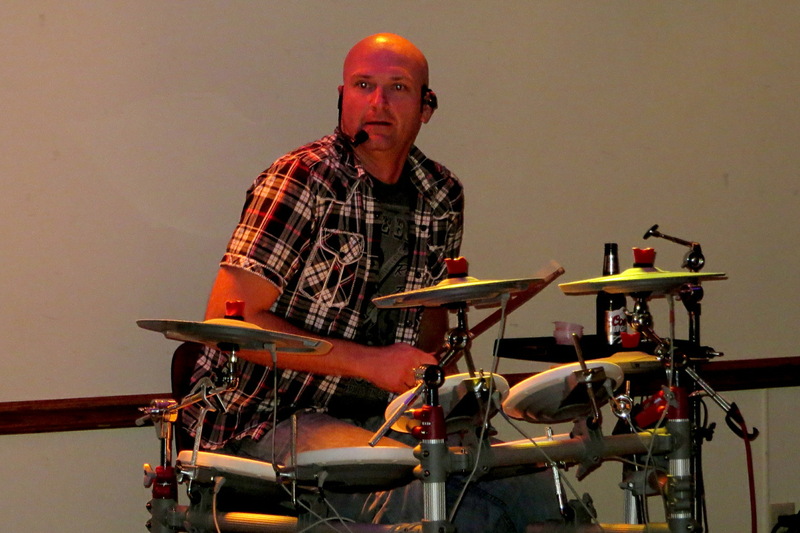 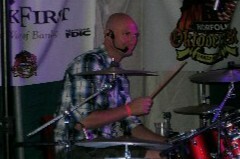 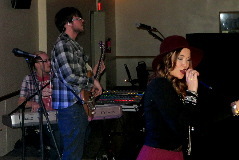 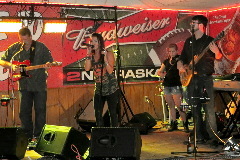 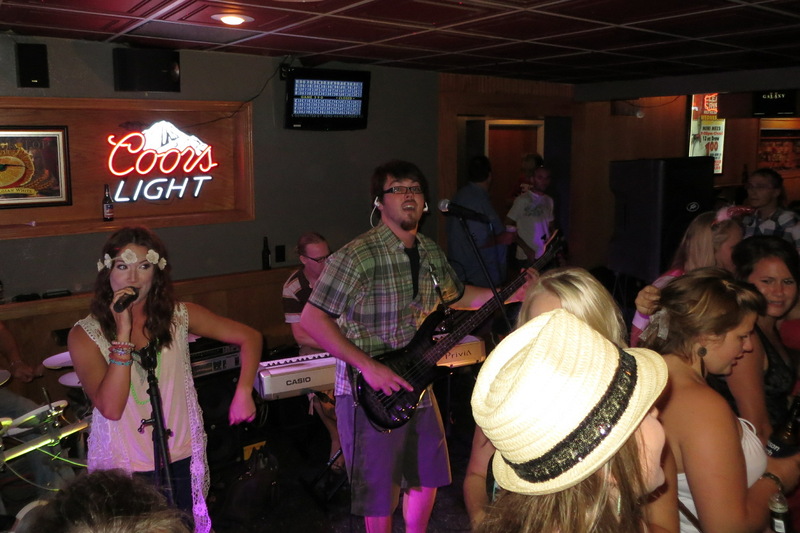 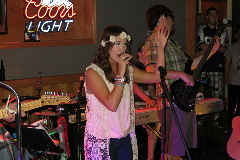 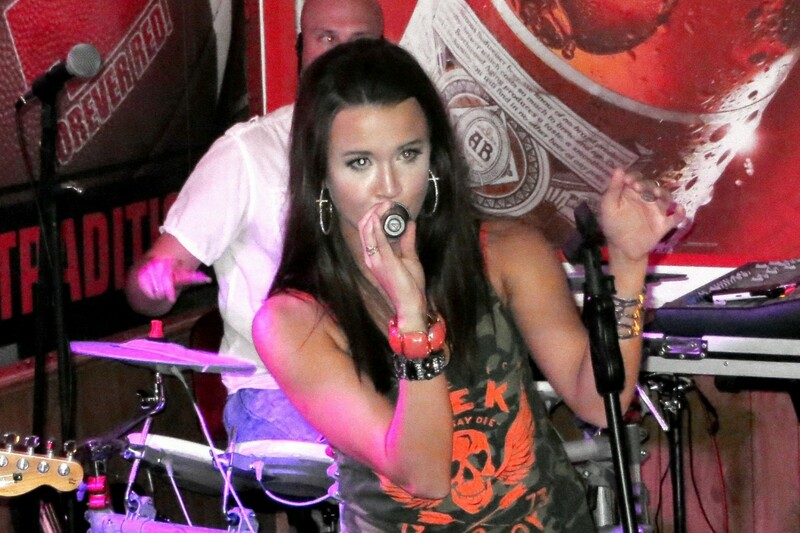 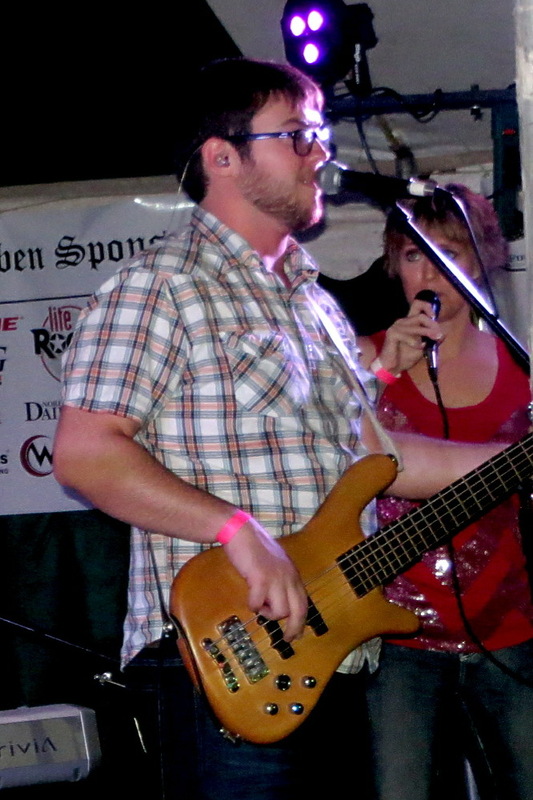 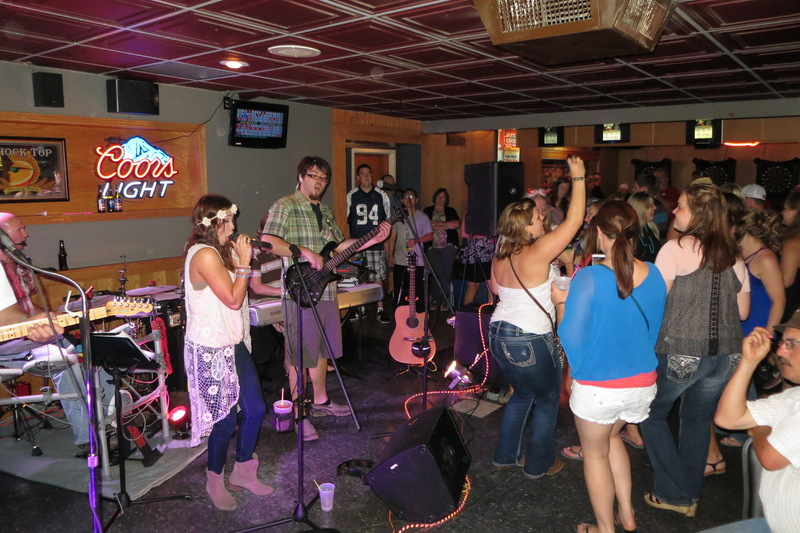 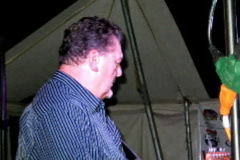 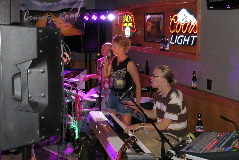 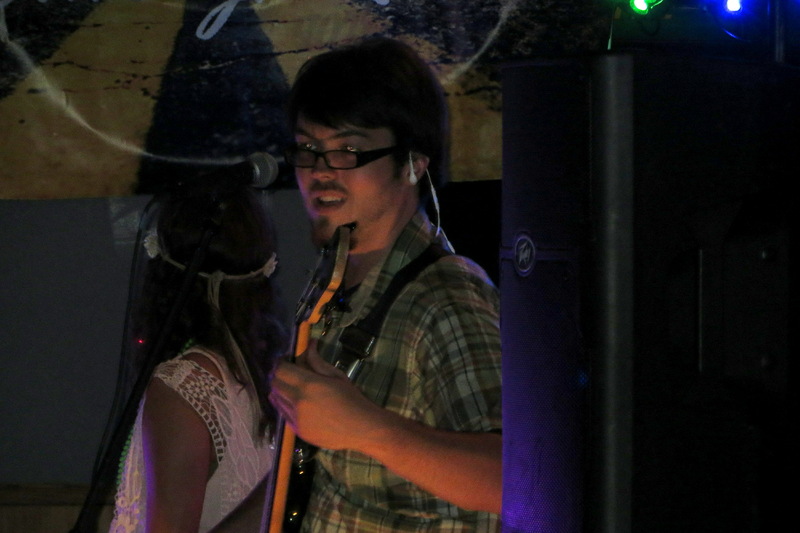 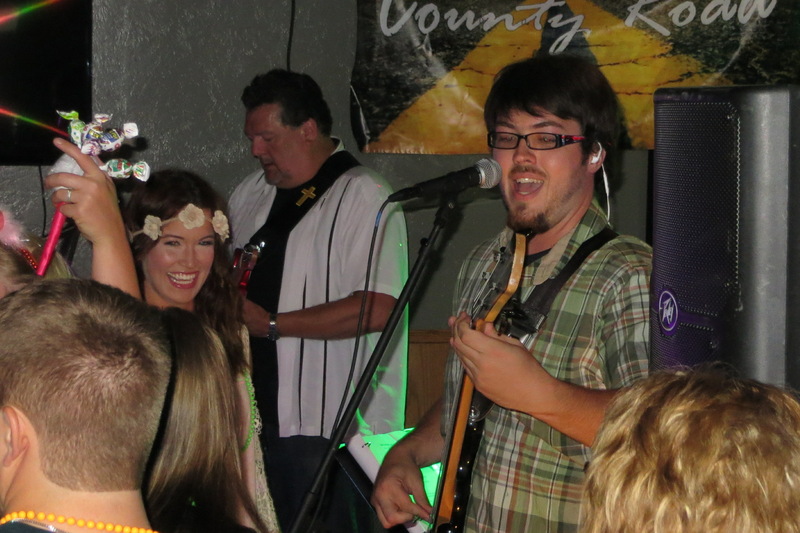 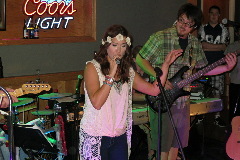 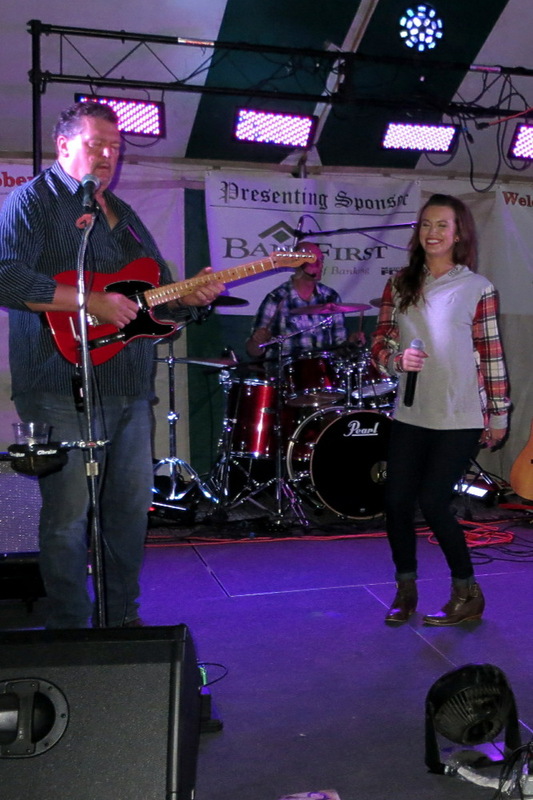 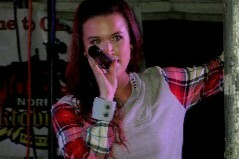 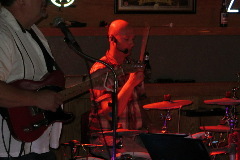 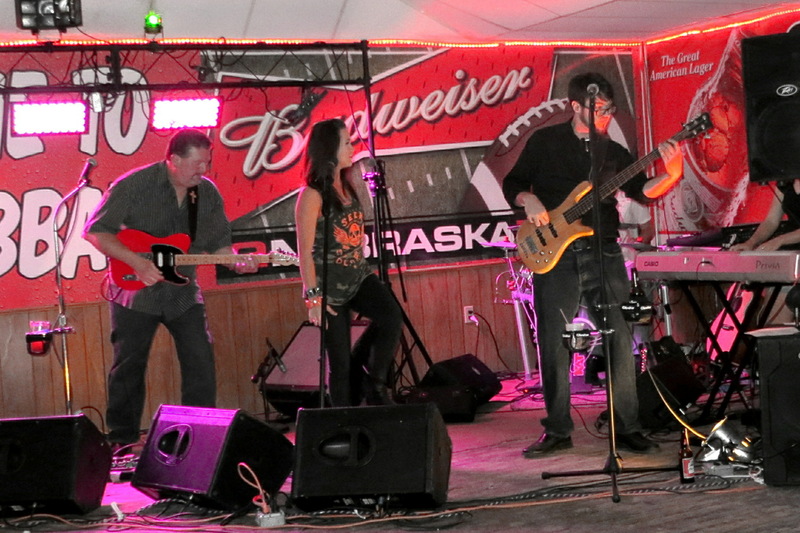 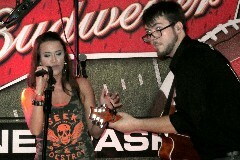 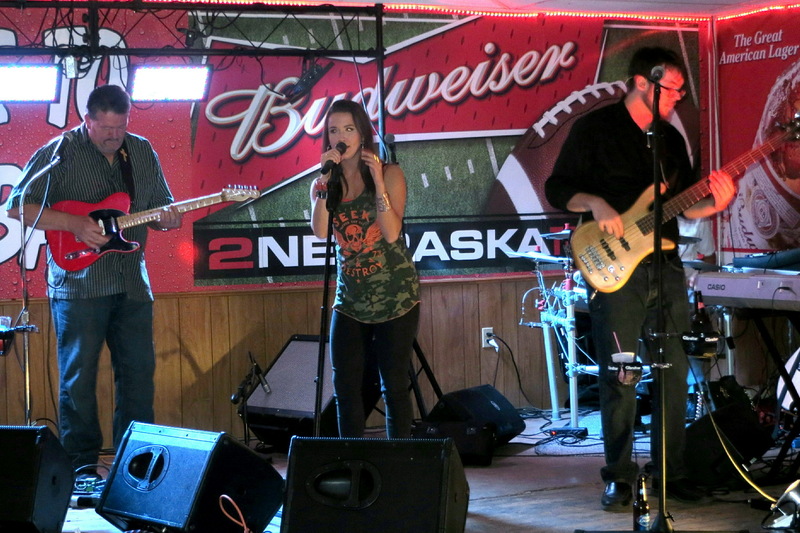 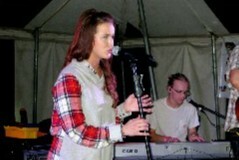 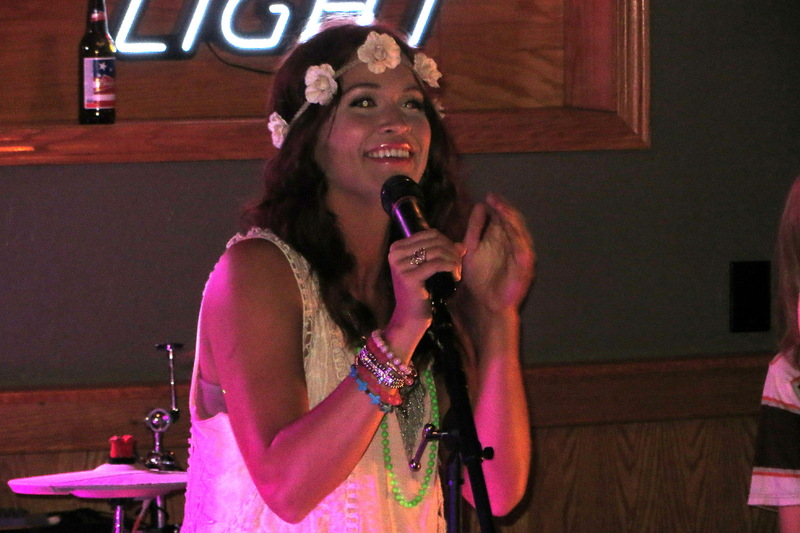 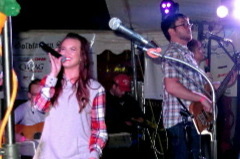 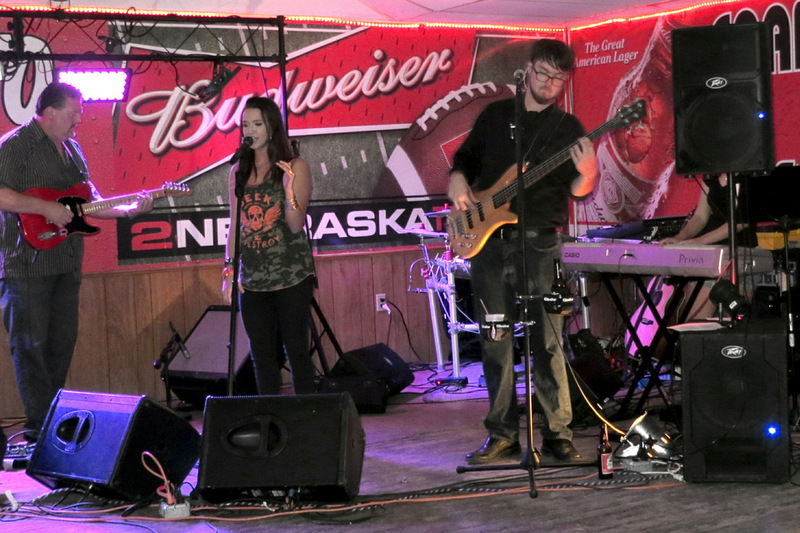 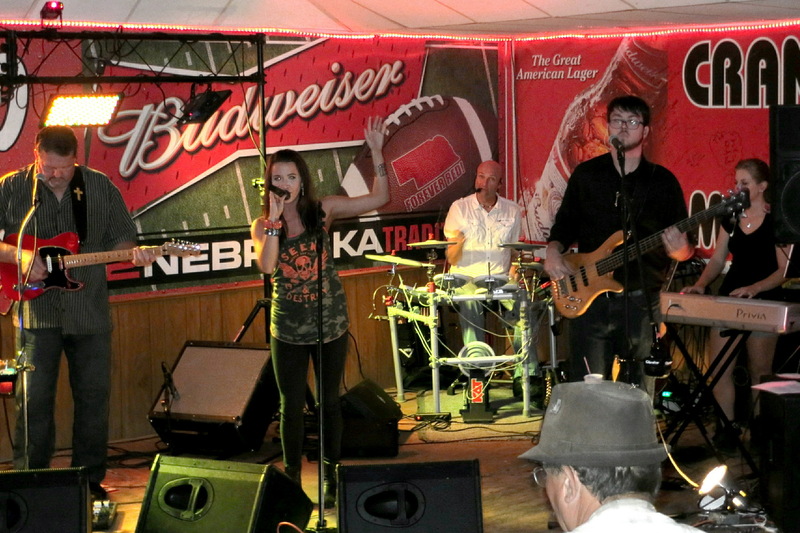 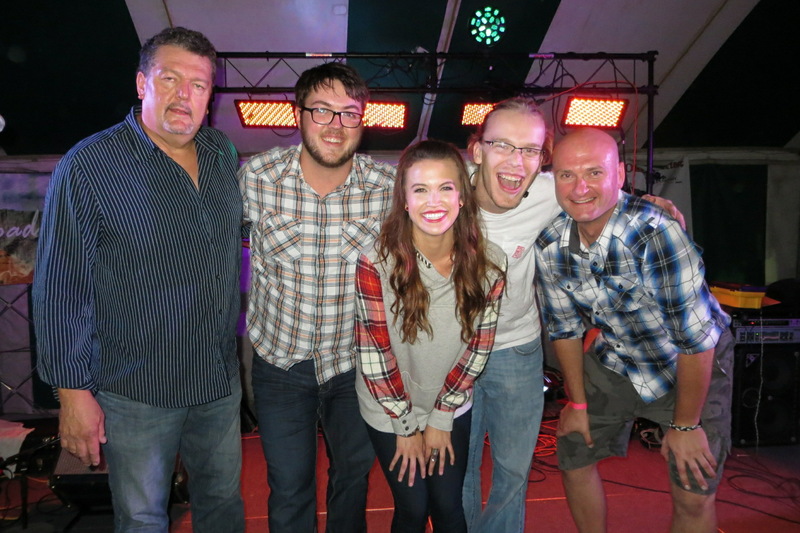 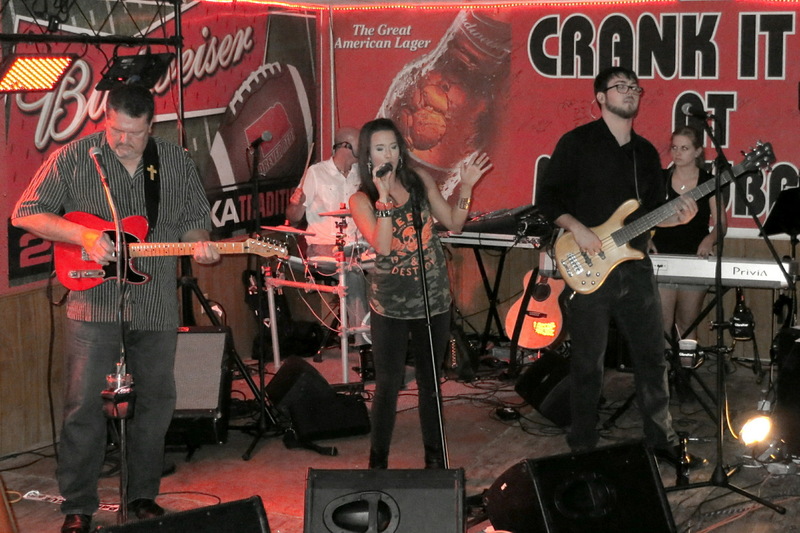 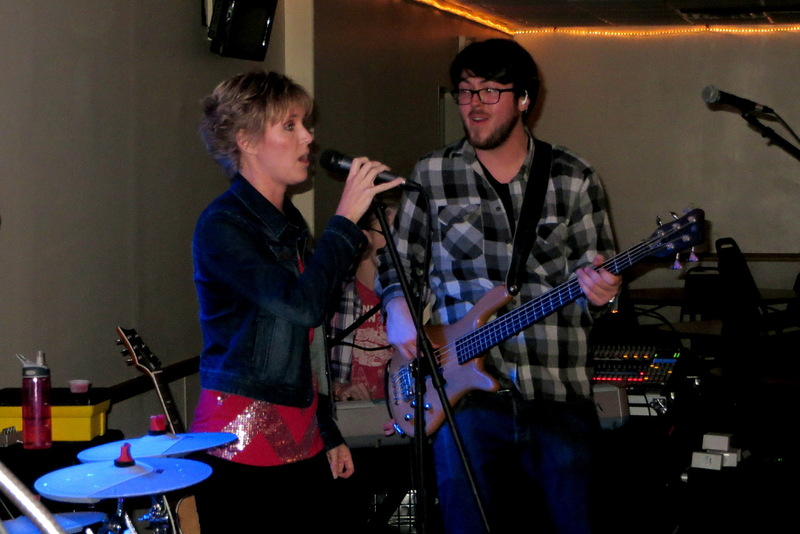 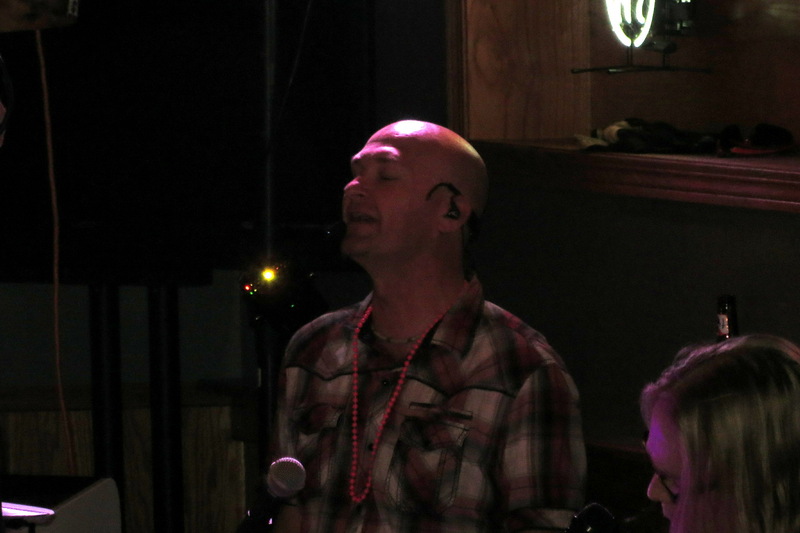 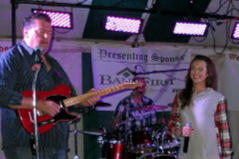 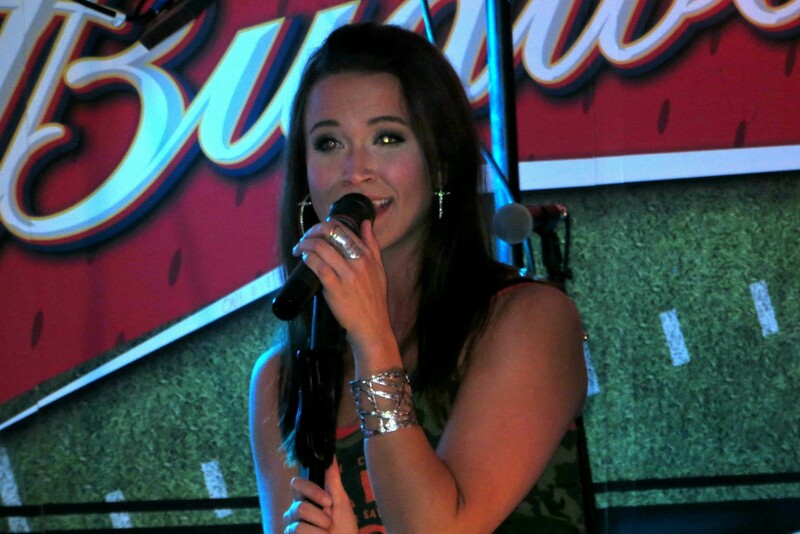 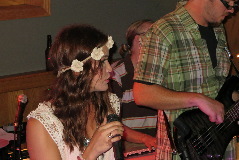 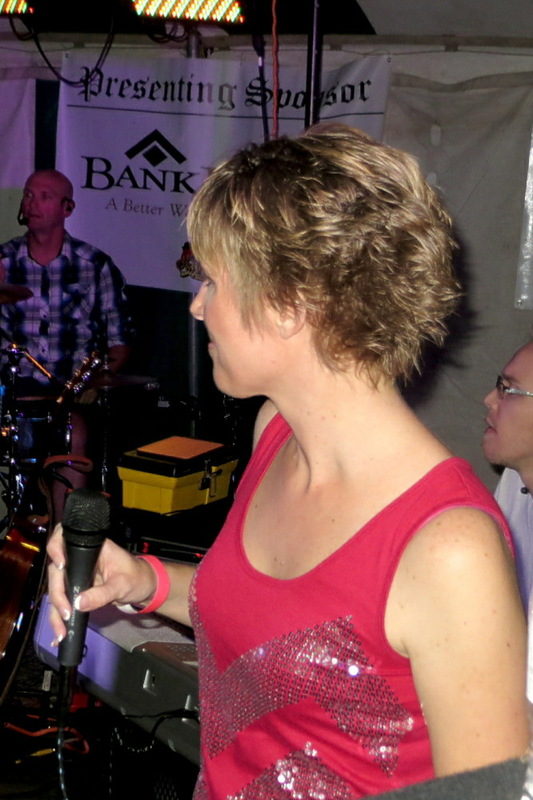 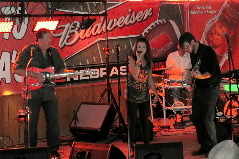 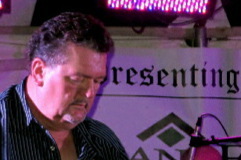 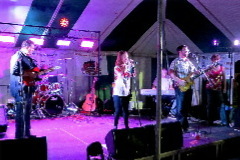 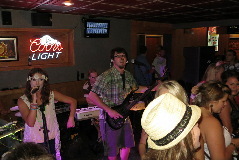 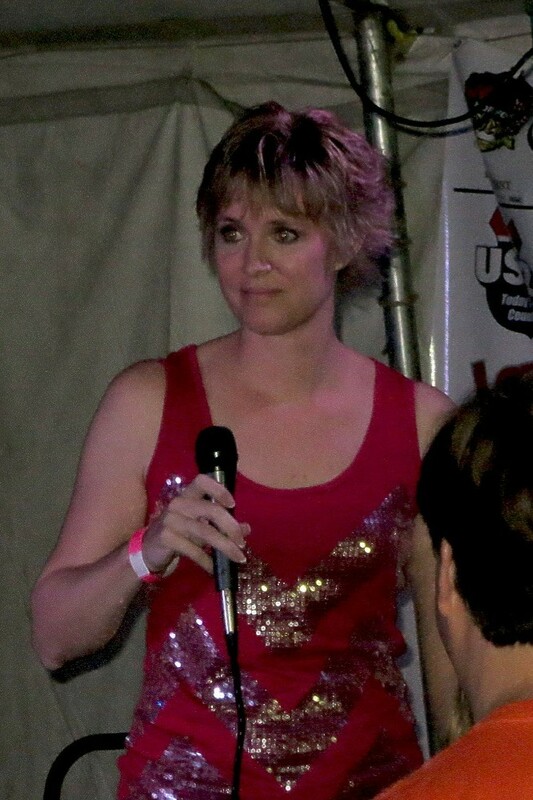 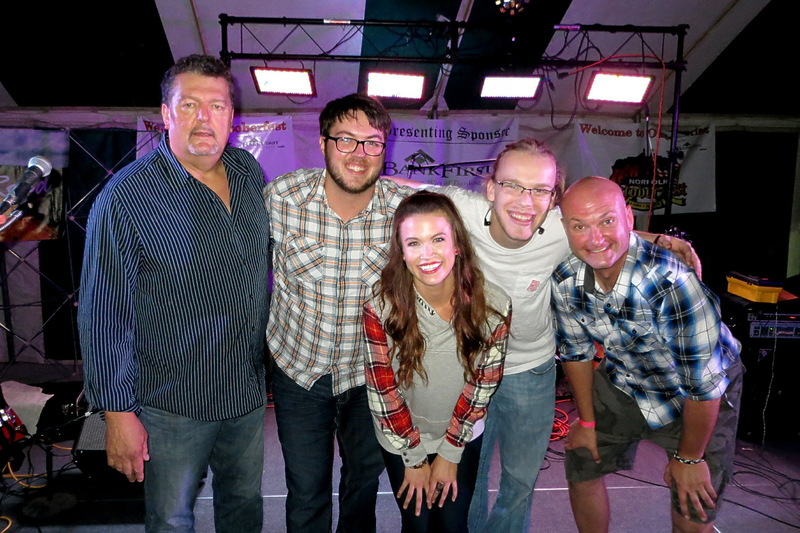 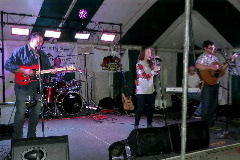 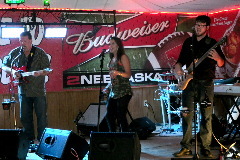 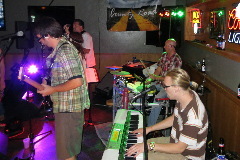 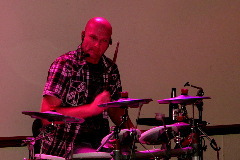 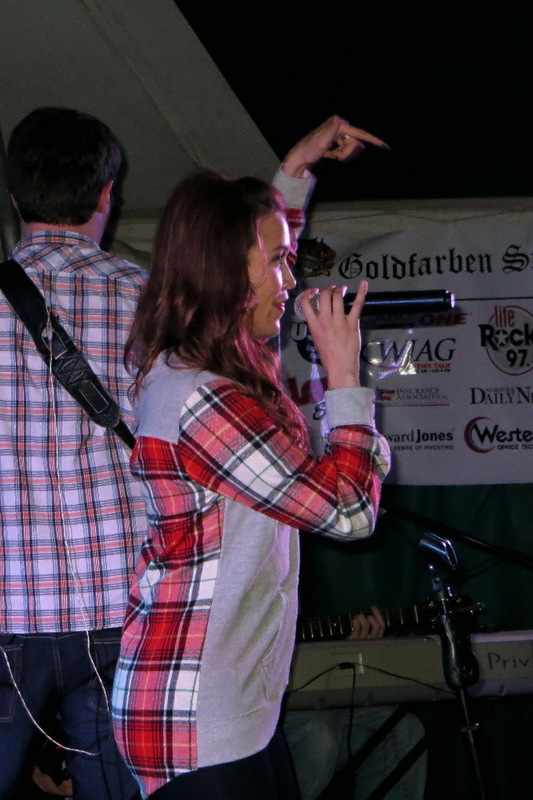 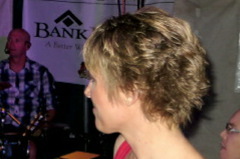 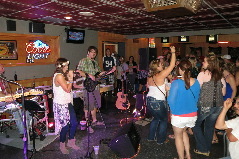 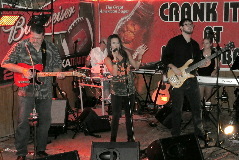 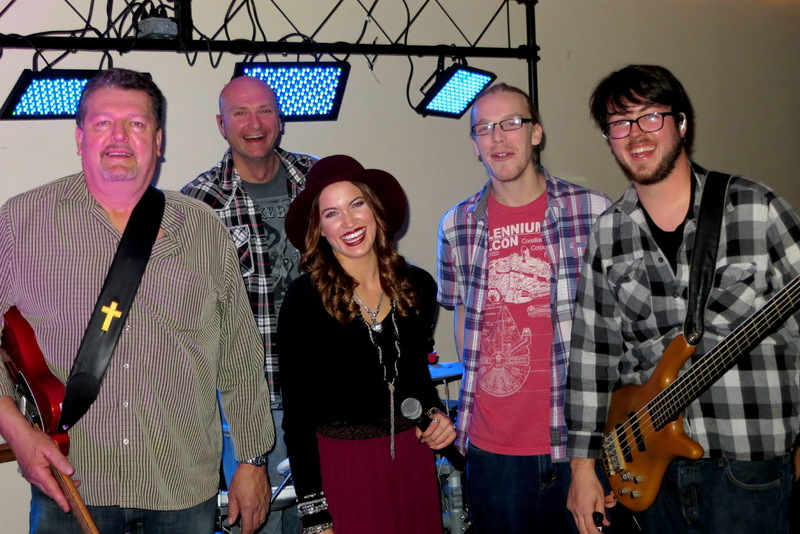 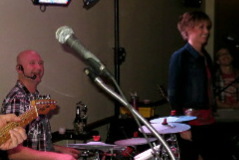 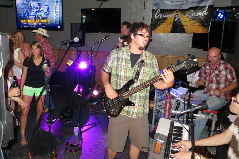 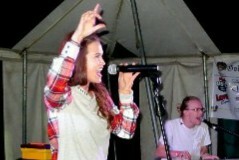 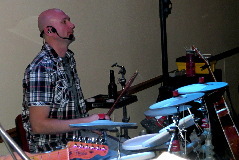 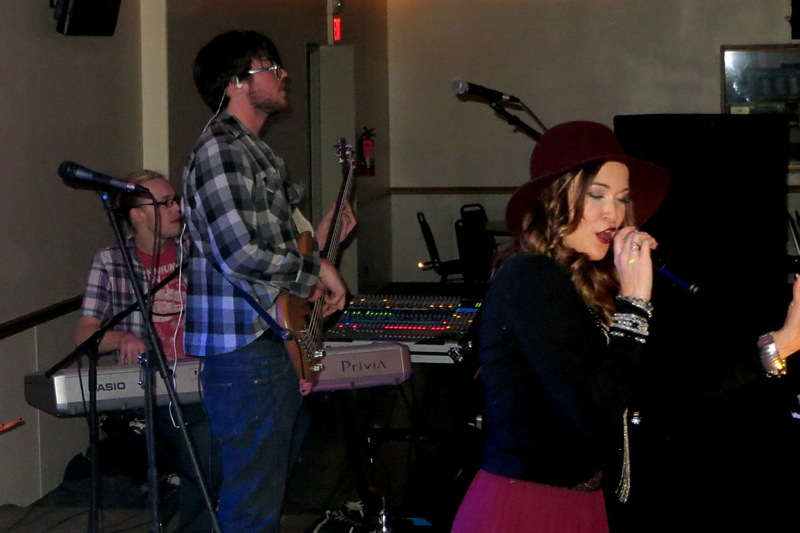 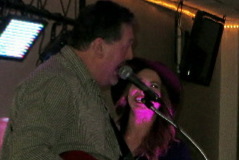 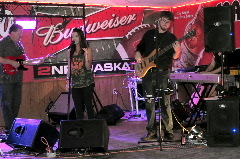 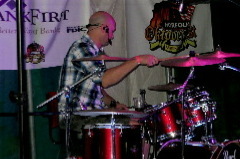 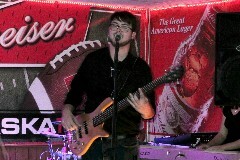 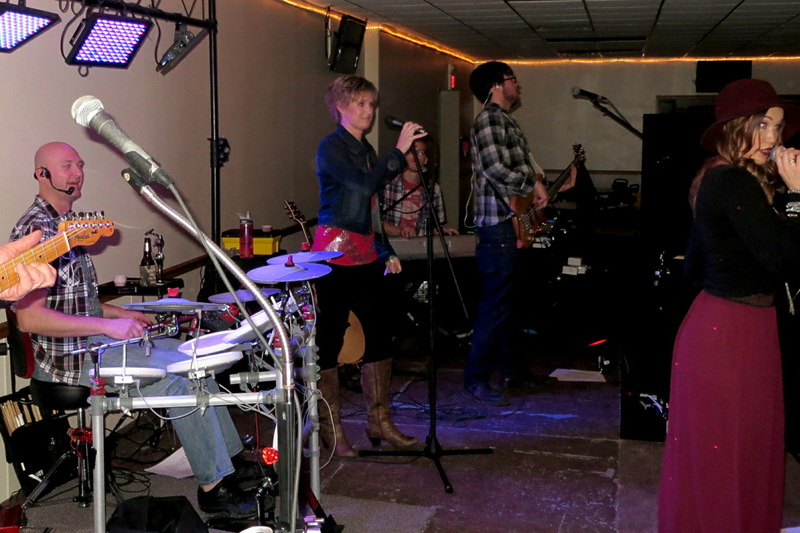 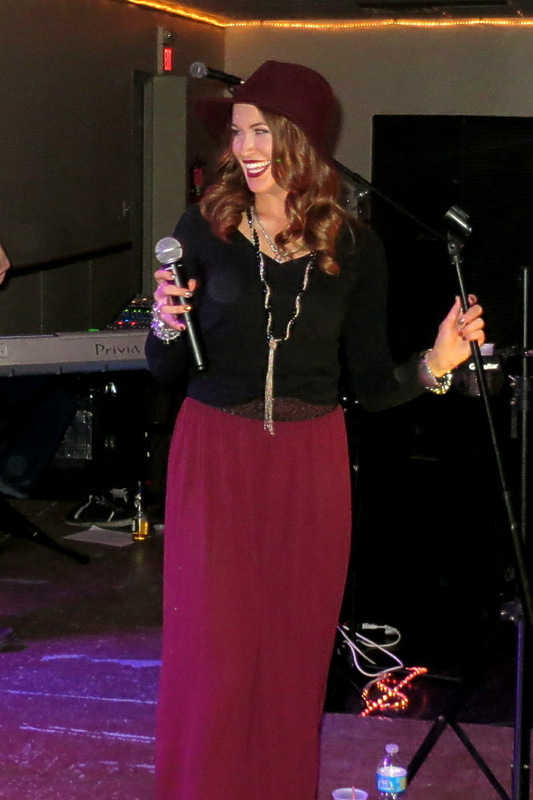 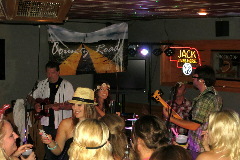 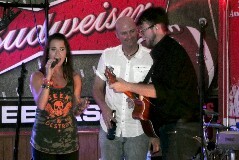 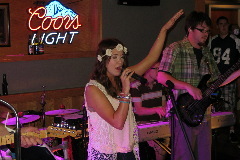 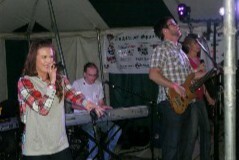 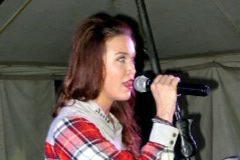 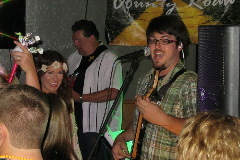 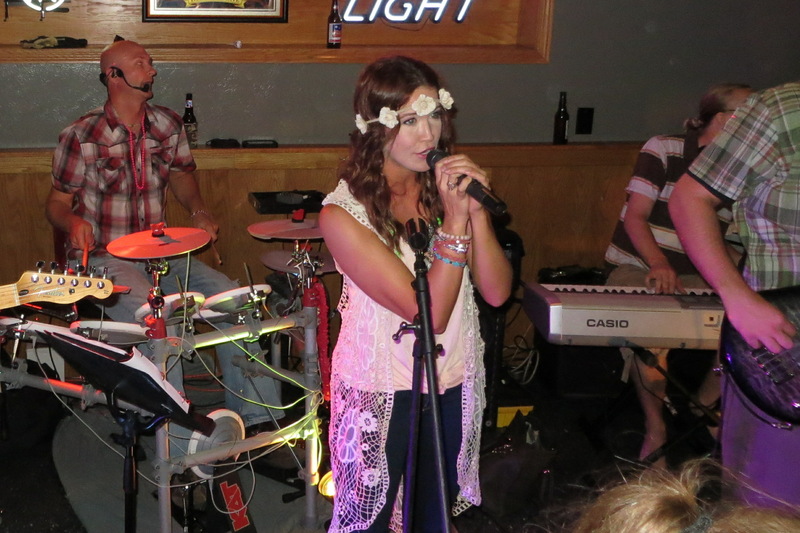 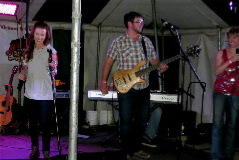 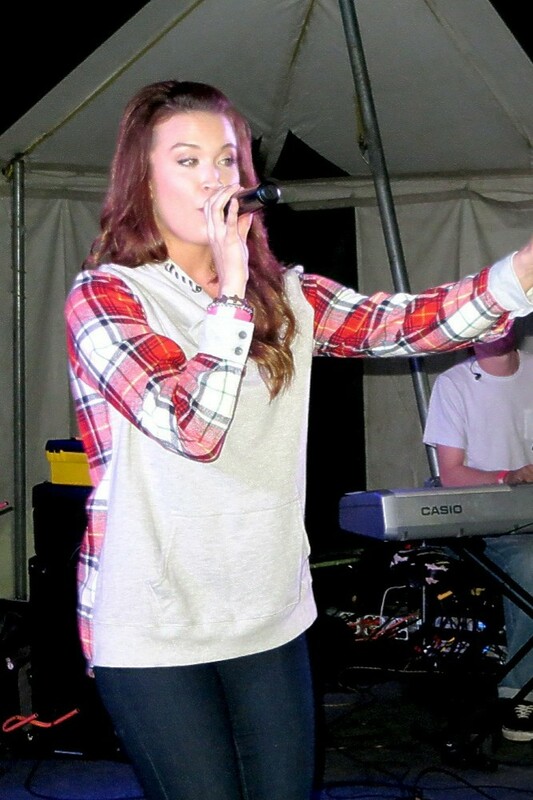 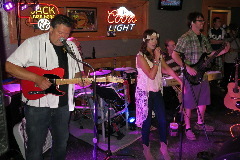 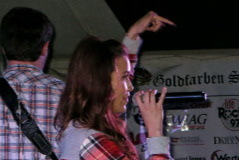 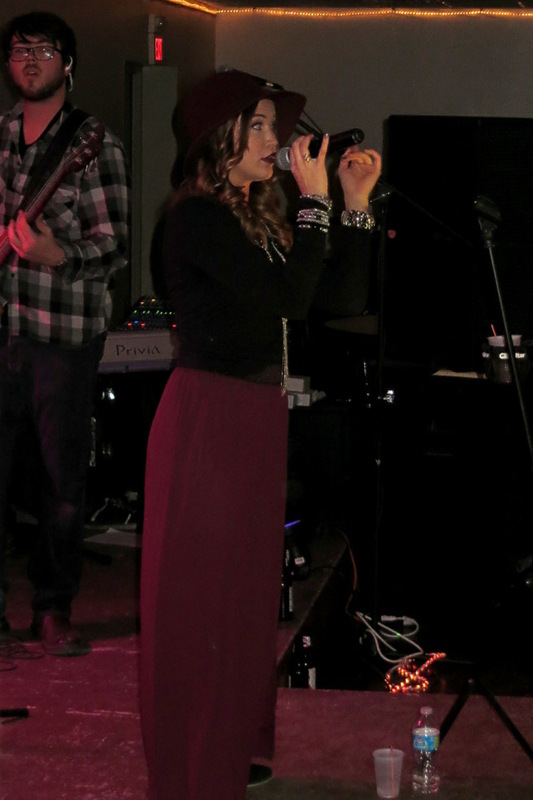 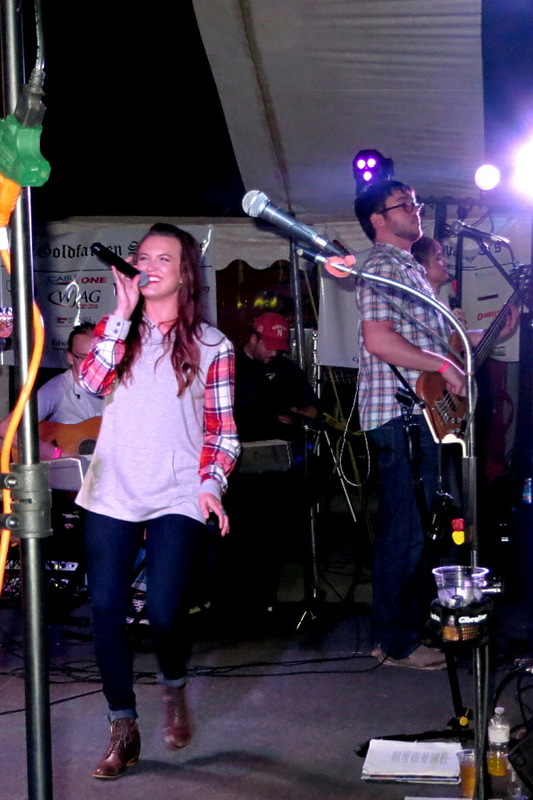 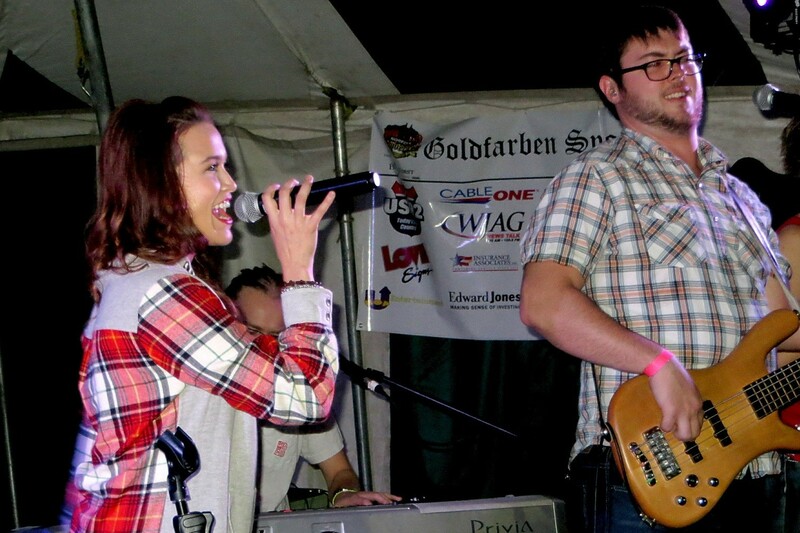 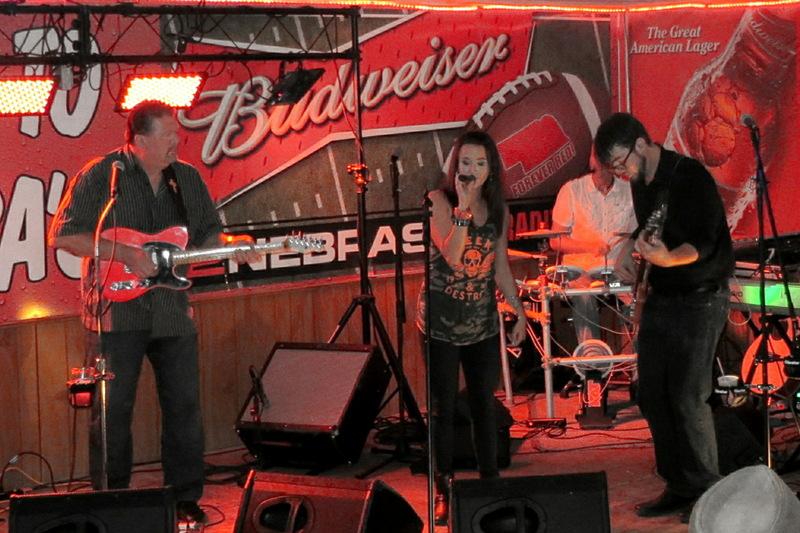 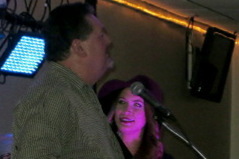 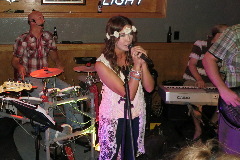 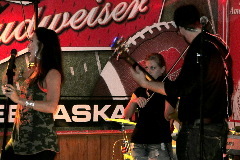 Formed in January of 2014, Abby Nicole & County Road, a five piece Country & Classic Rock band from Northeast Nebraska includes lead vocalist Abby Uecker, Mitch Benson on bass guitar and vocals, lead guitar and vocalist Mark Rakowsky, Chad Barnhill on drums and vocals, and Paul Lux, providing keyboards and vocals for the band. 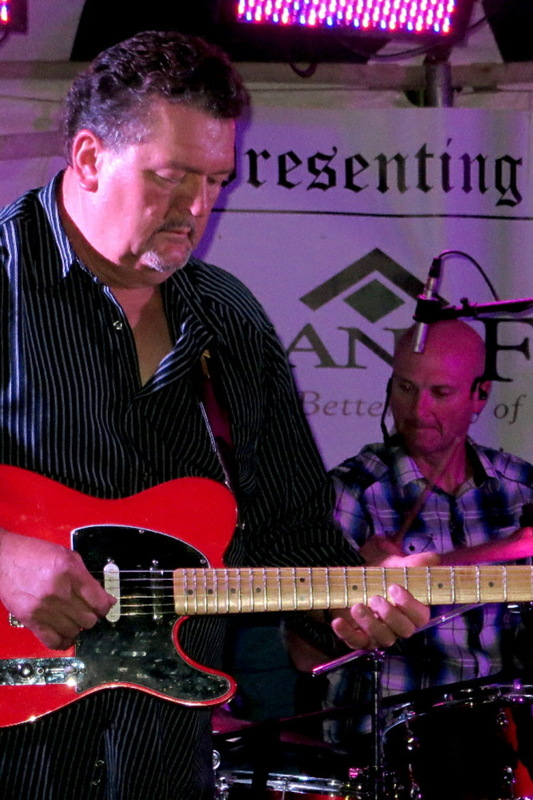 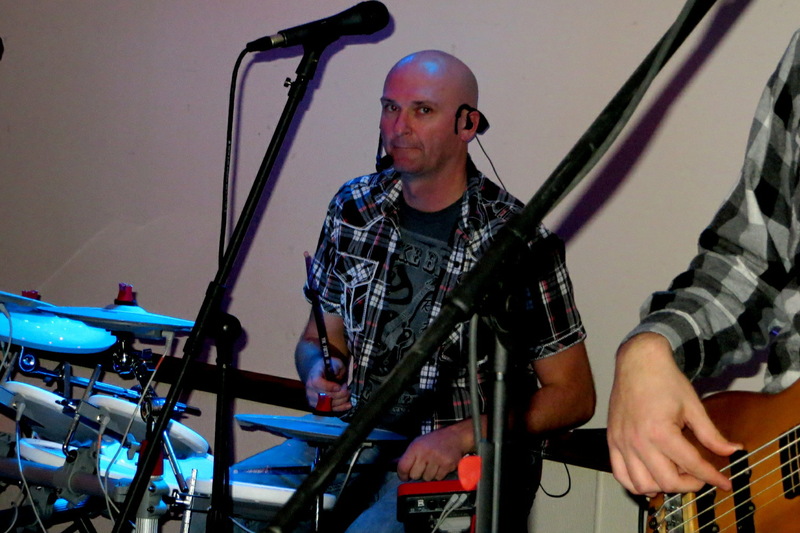 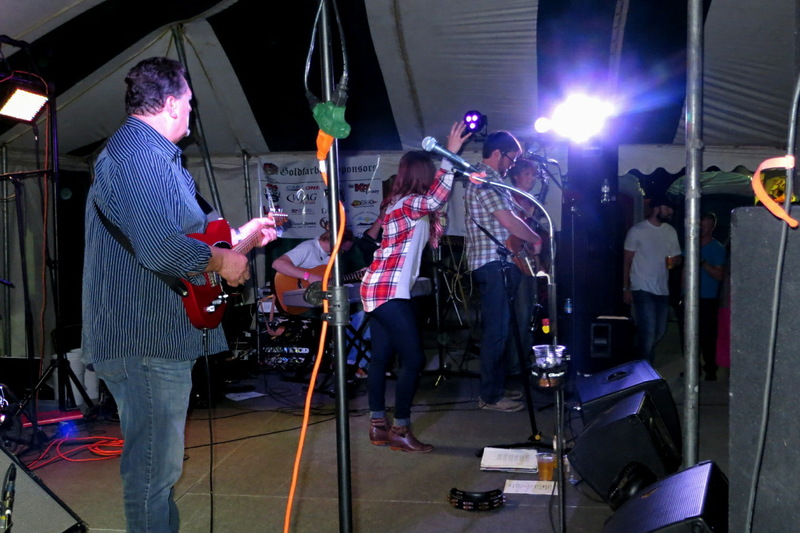 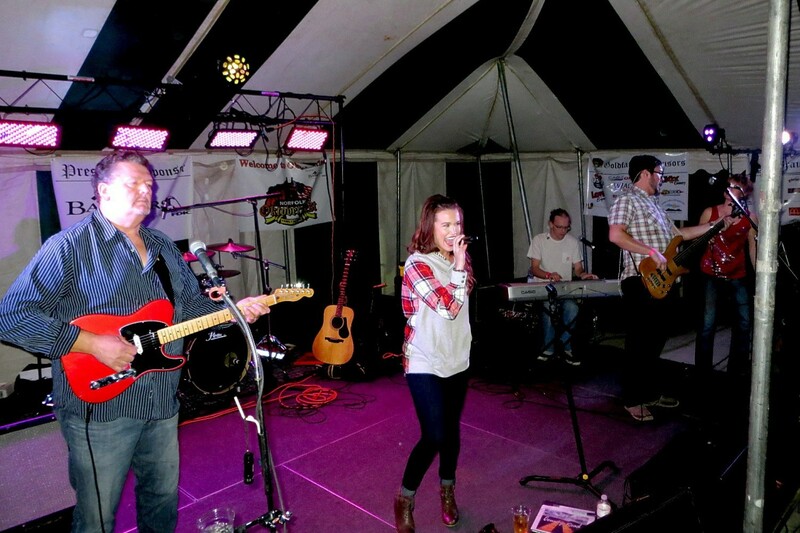 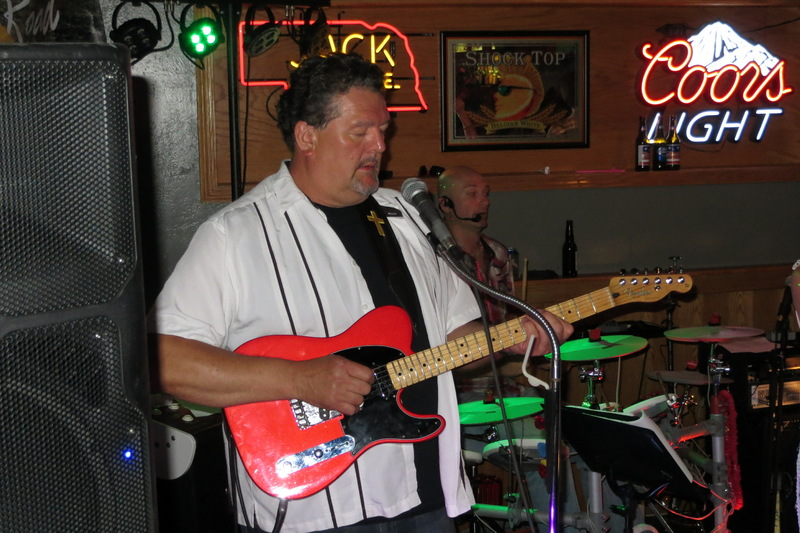 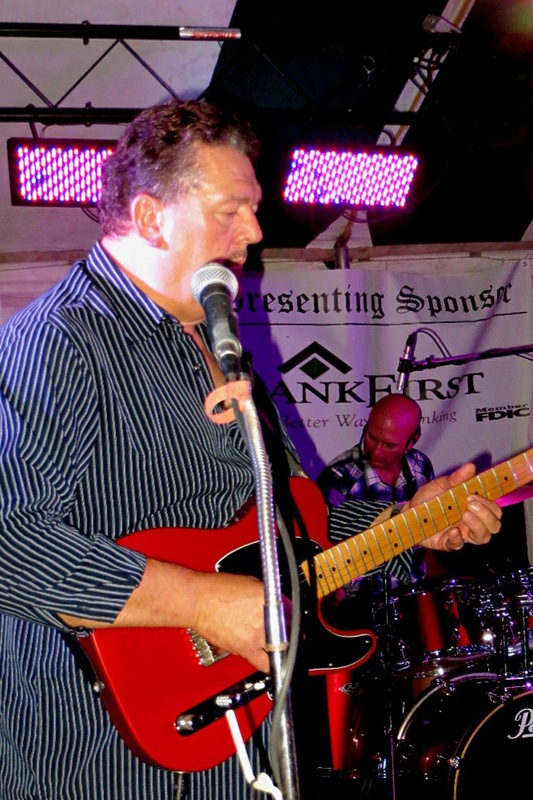 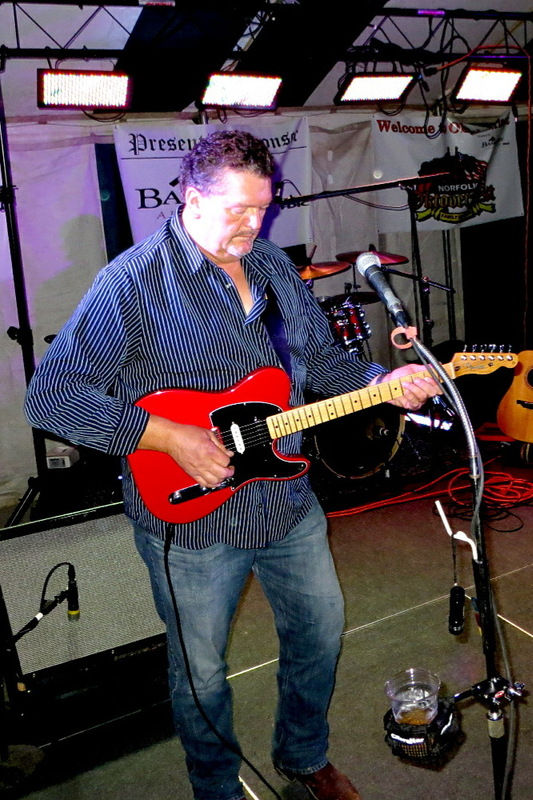 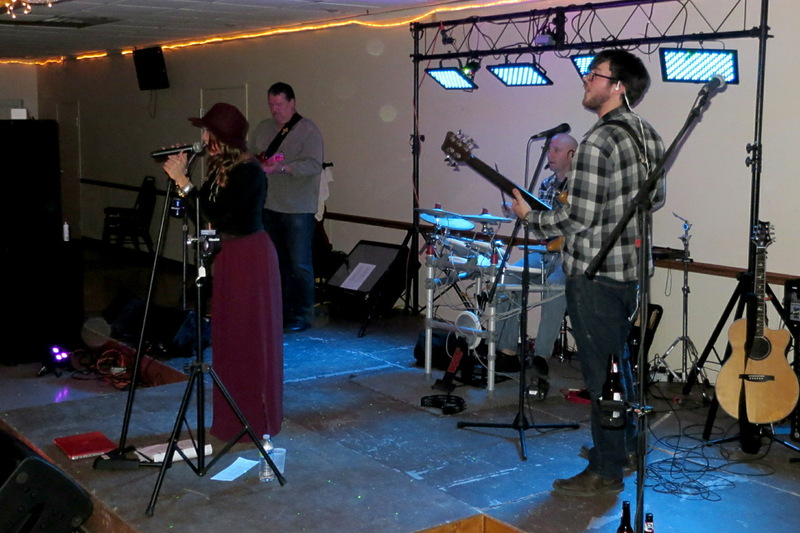 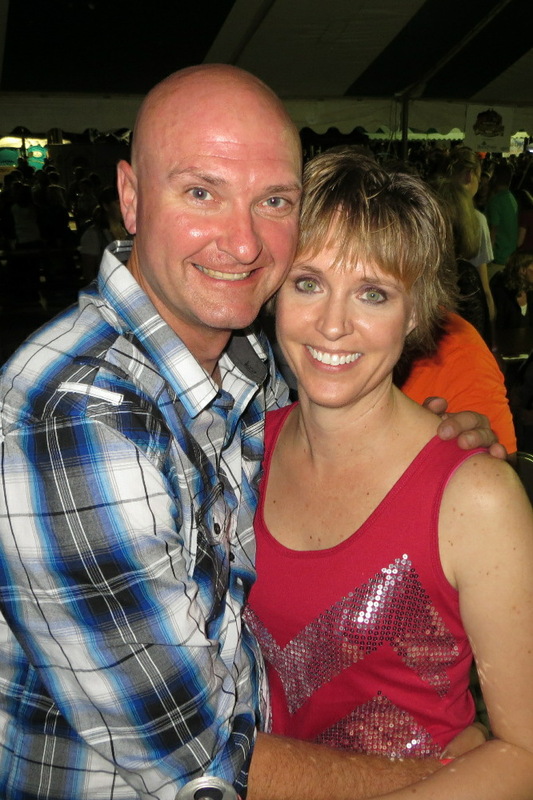 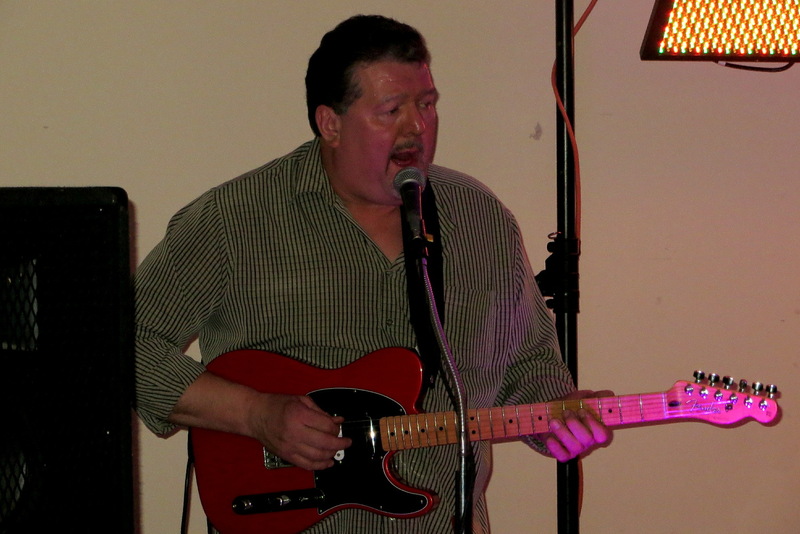 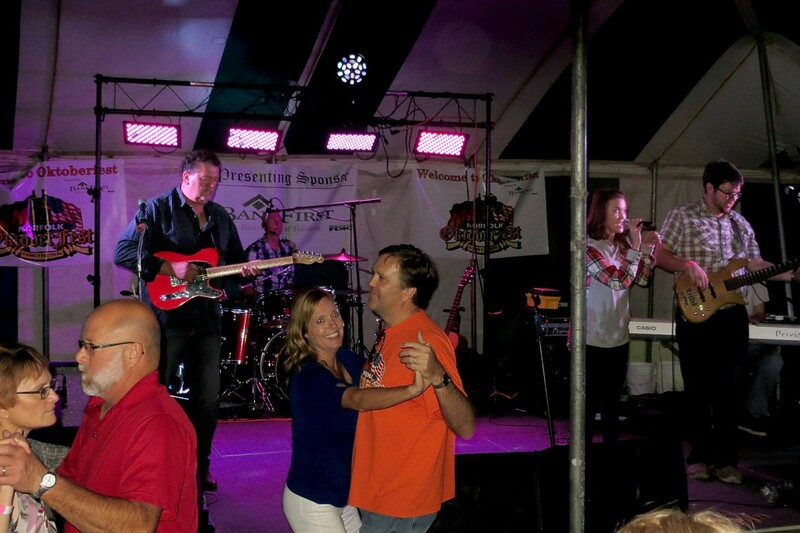 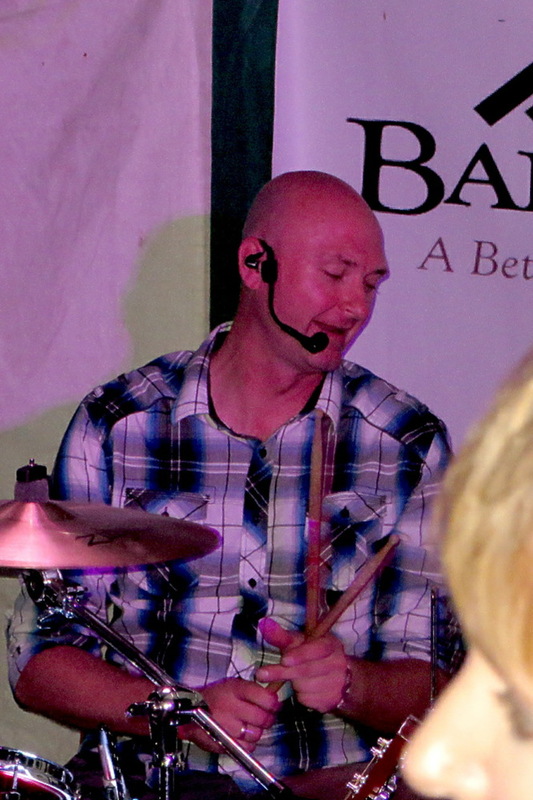 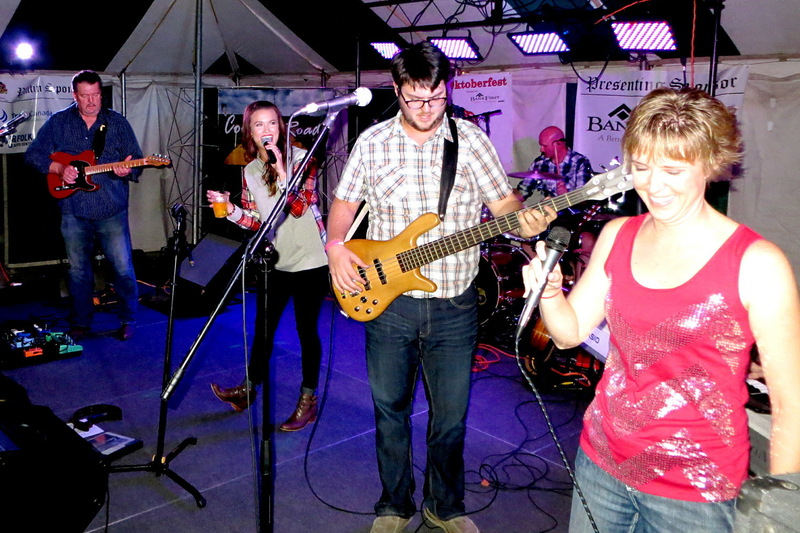 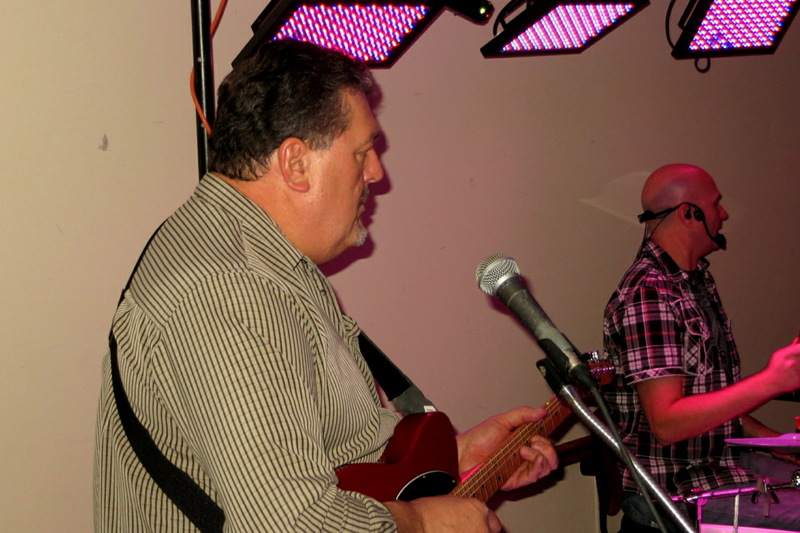 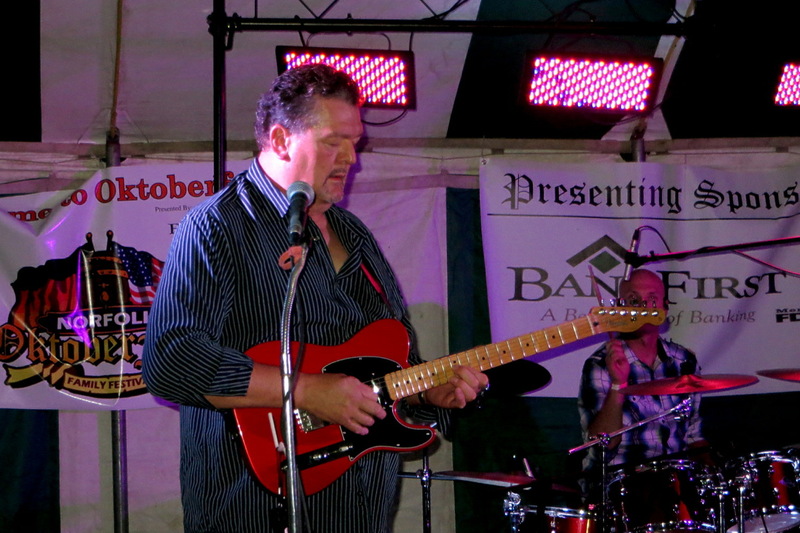 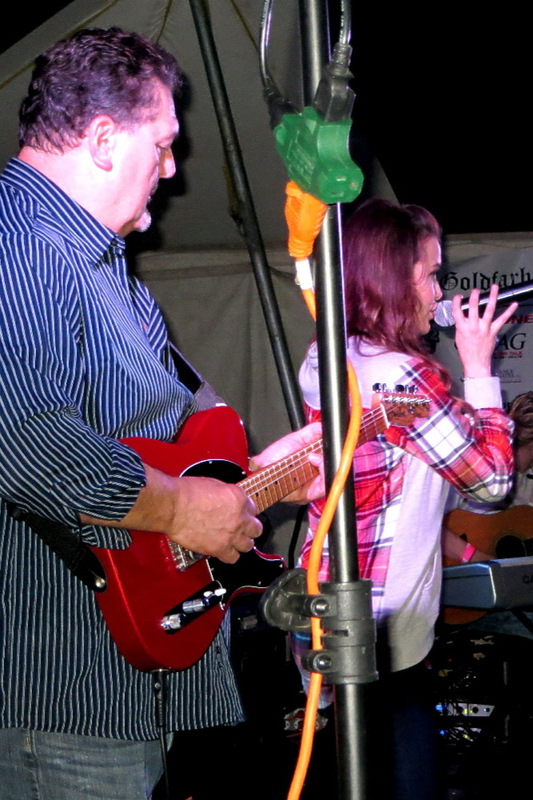 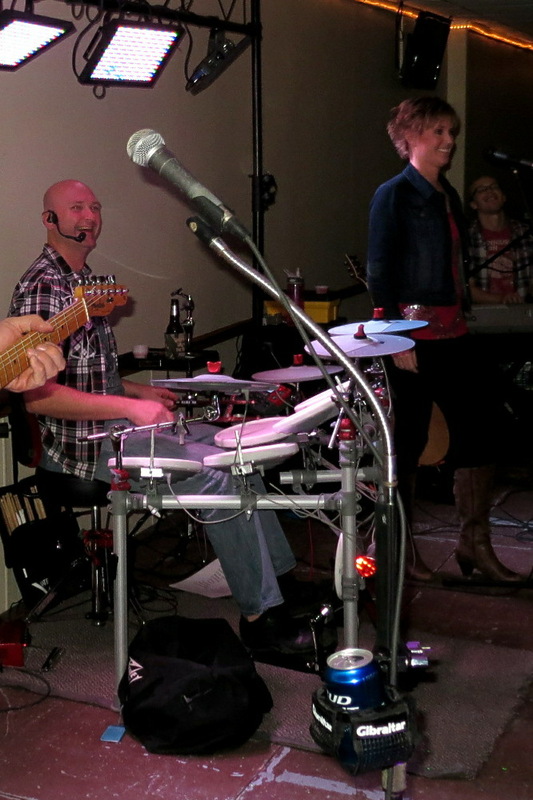 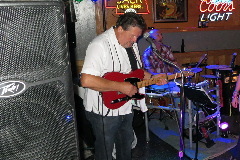 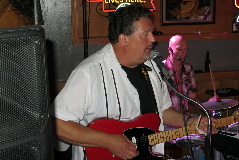 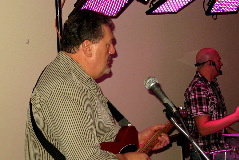 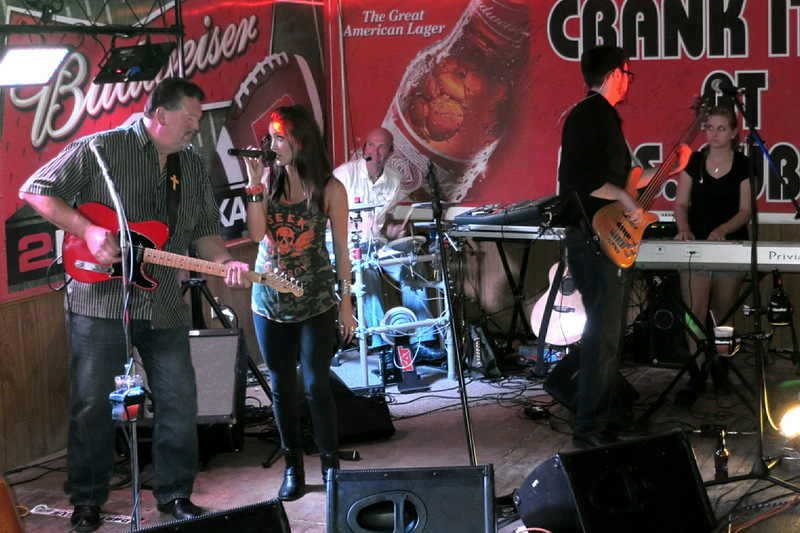 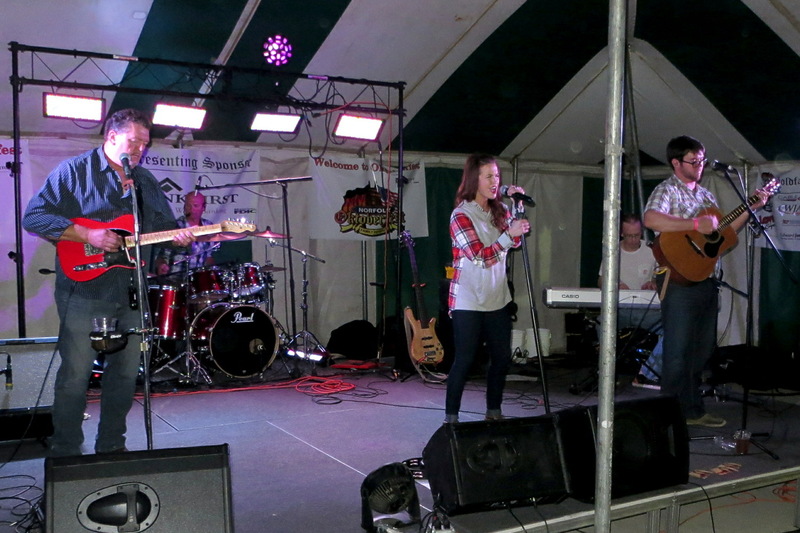 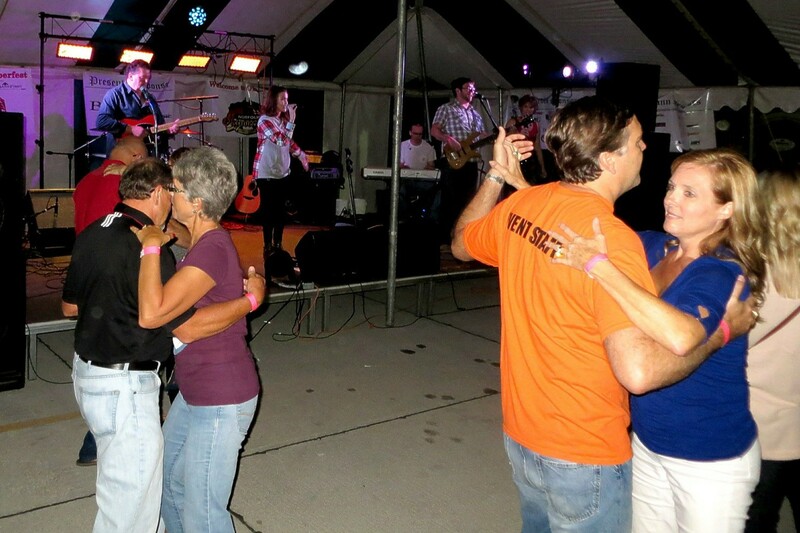 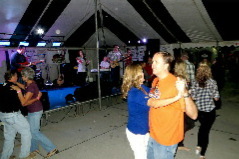 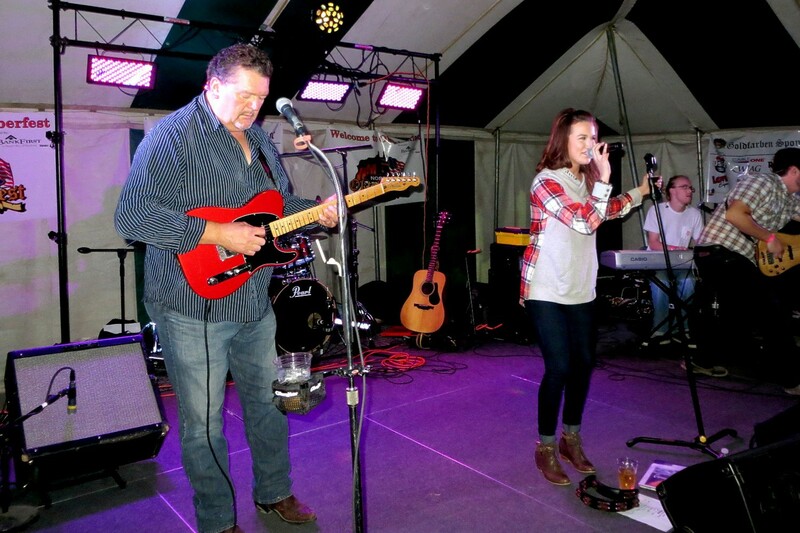 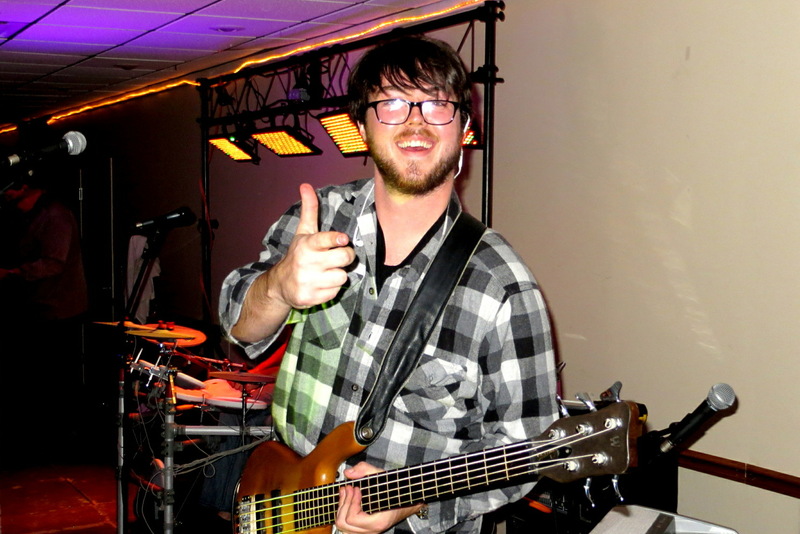 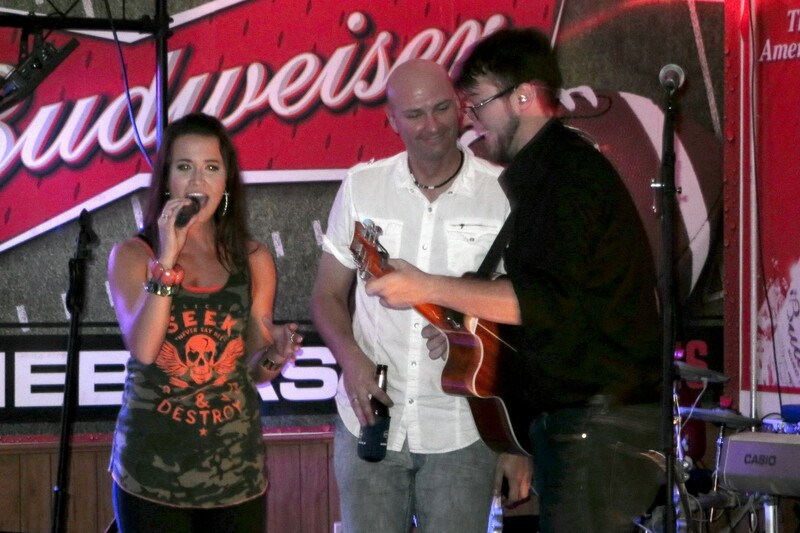 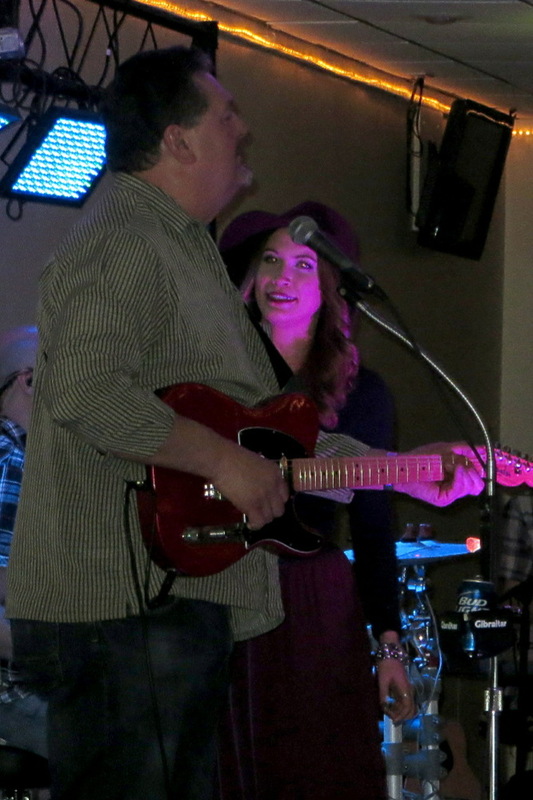 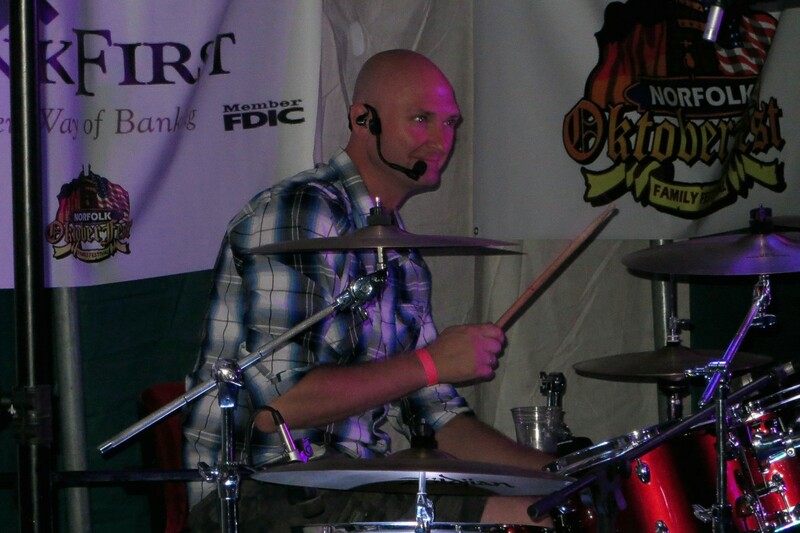 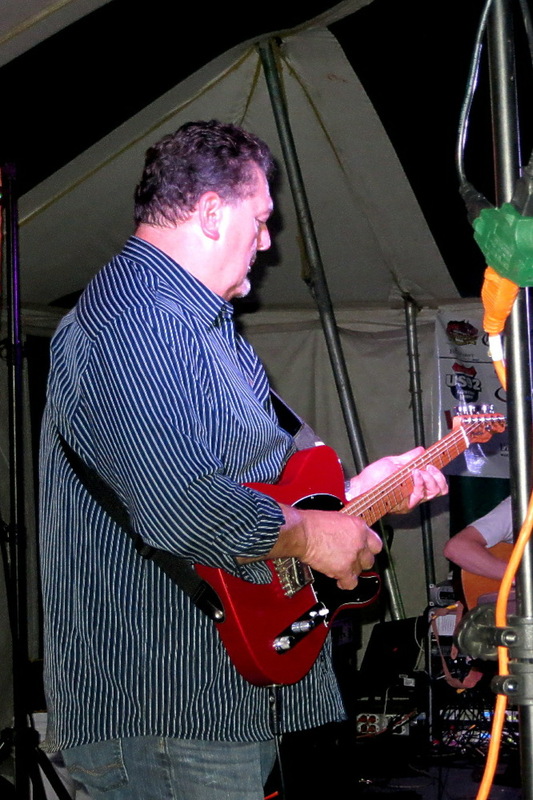 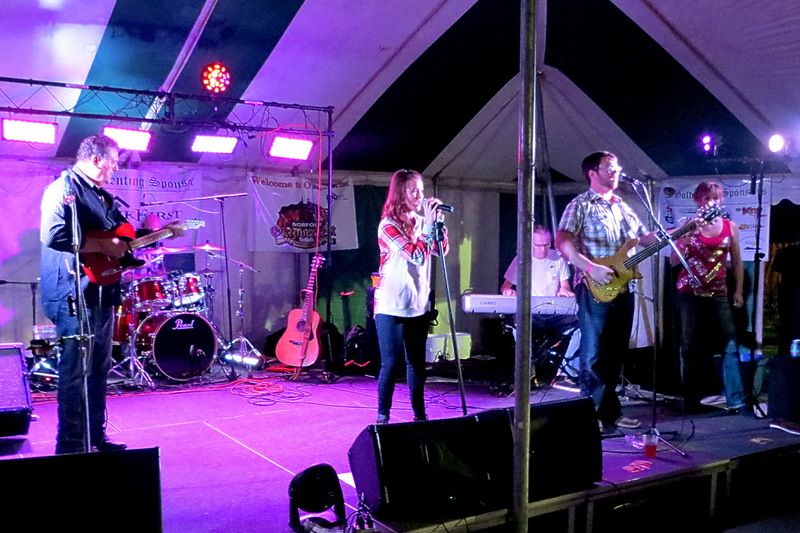 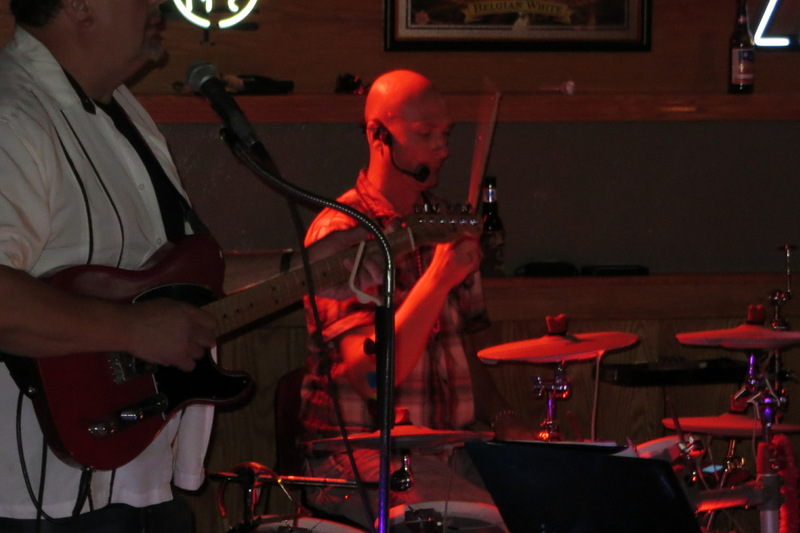 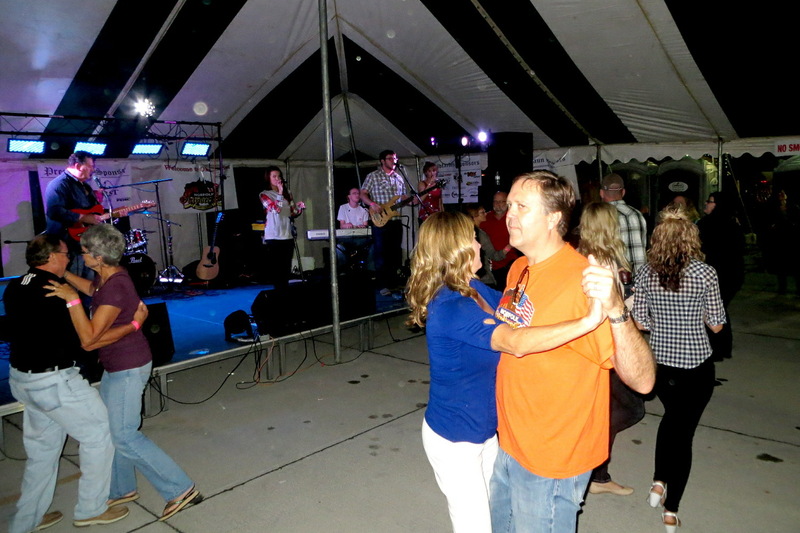 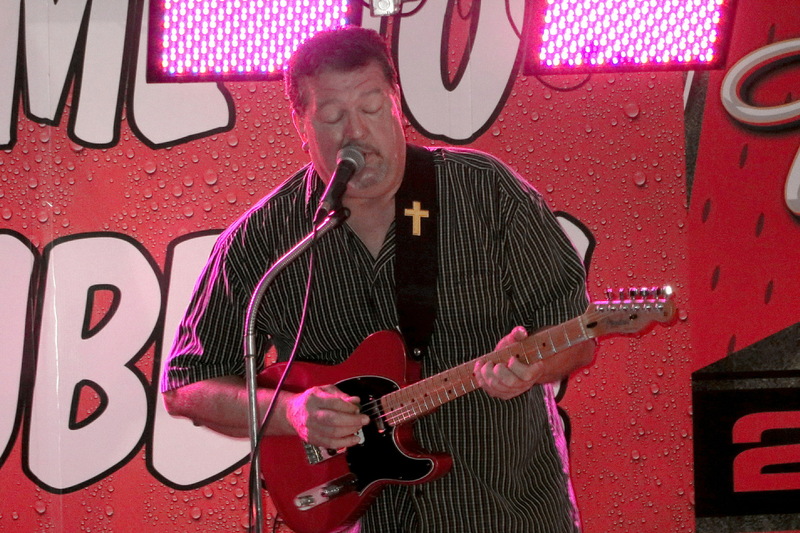 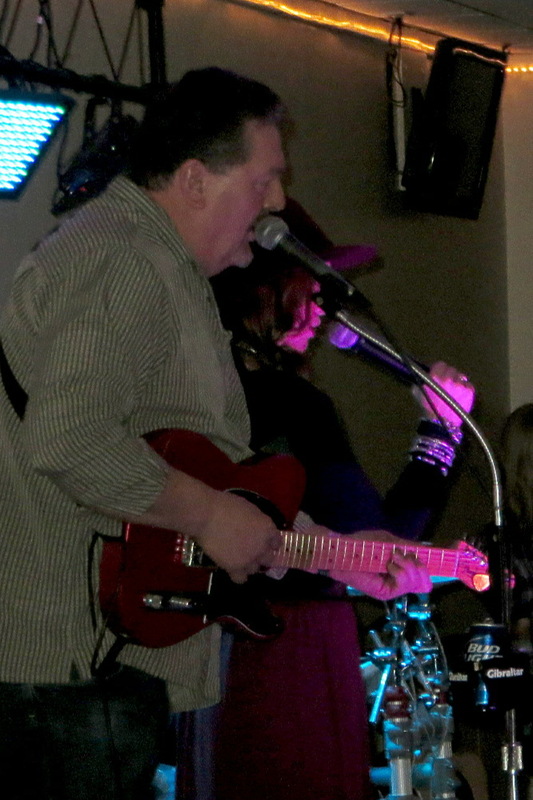 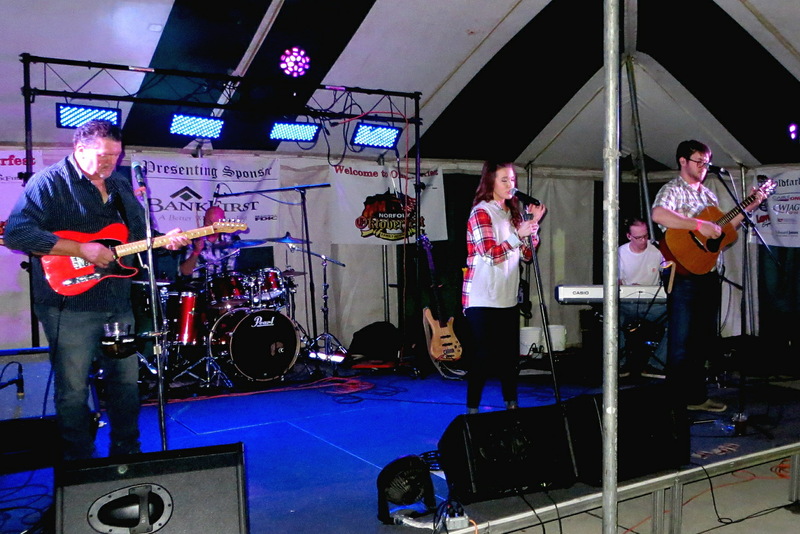 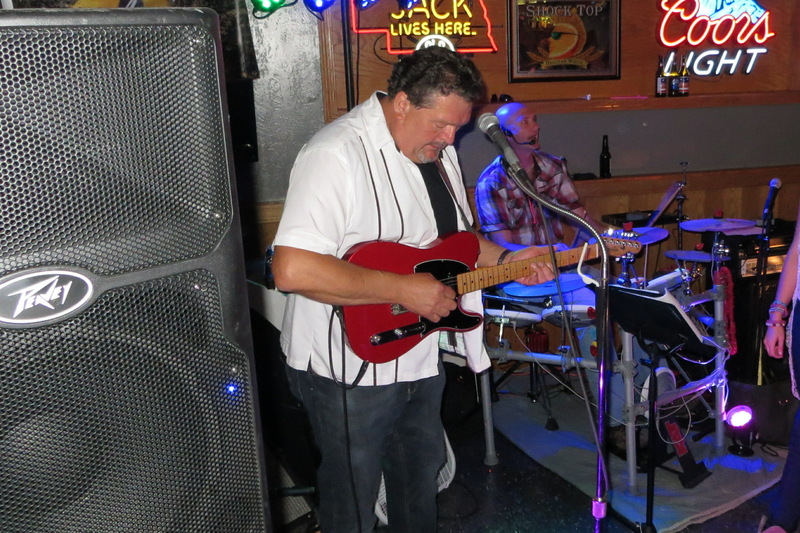 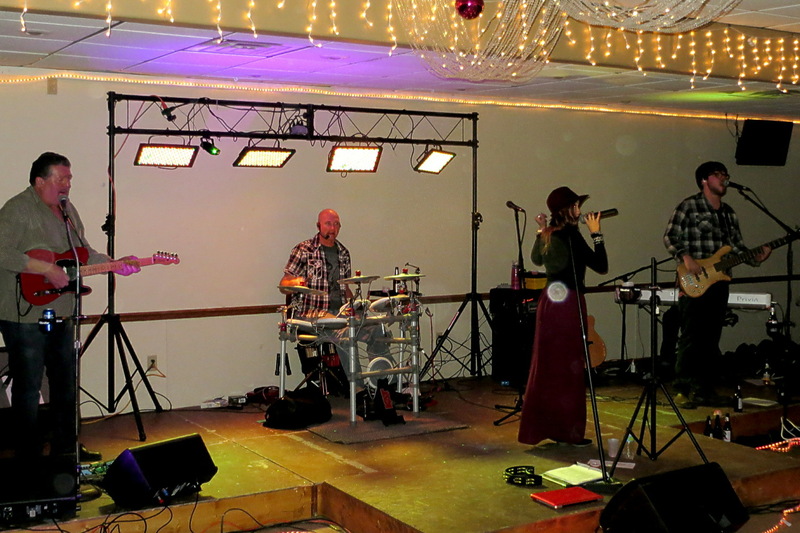 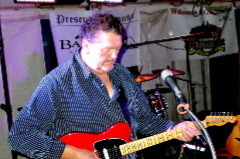 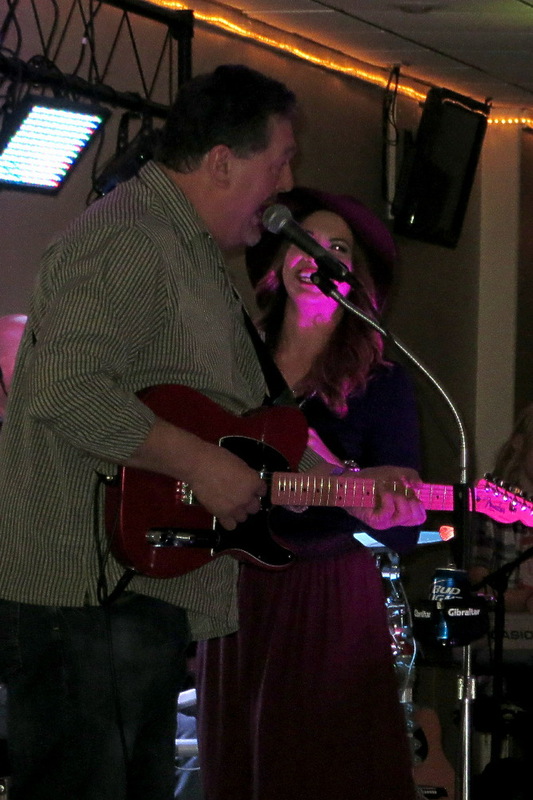 Performing music by artists and bands as diverse as Miranda Lambert and Little Big Town to Patsy Cline and Johnny Cash to John Mellencamp and Cheap Trick, the band members bring a fun, high energy attitude to the stage that gets the crowd dancing, singing along, and wanting more! 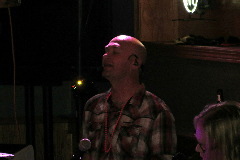 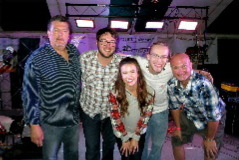 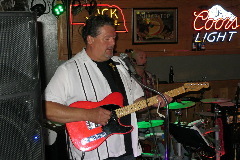 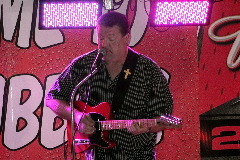 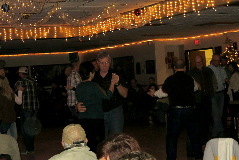 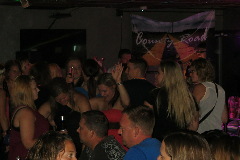 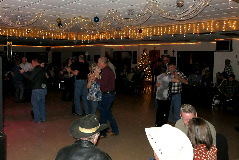 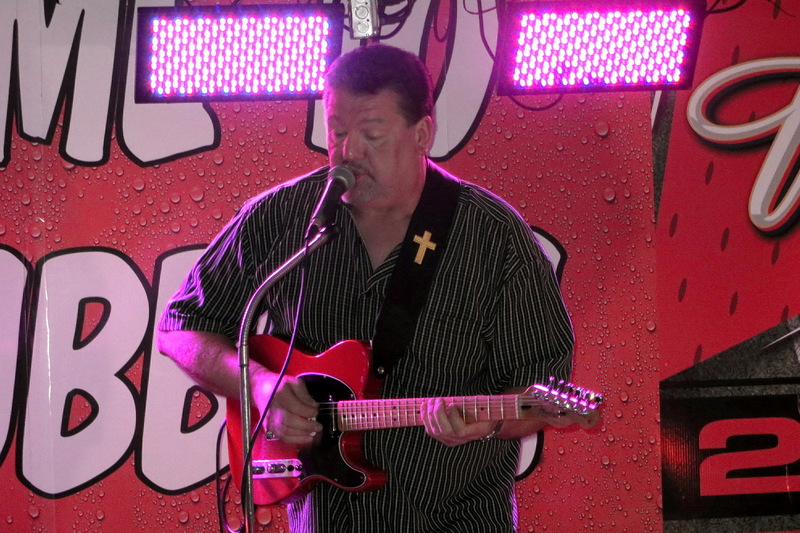 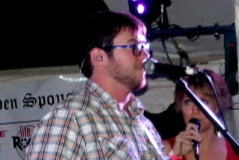 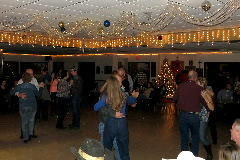 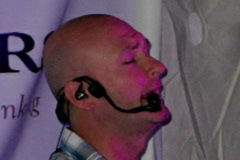 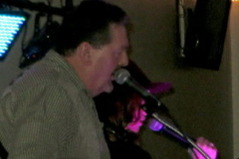 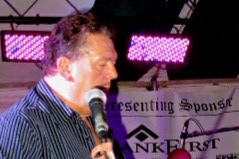 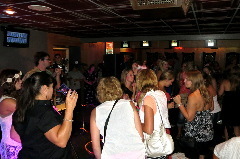 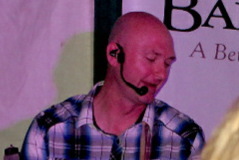 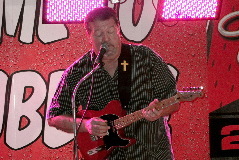 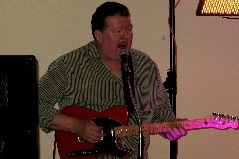 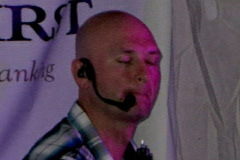 With set lists that includes top County hits like Pontoon, Kerosene, Here For The Party, and Tornado, Classic Country hits like Walkin’ After Midnight, Jackson, and Crazy, and Classic Rock songs like Joy To the World, Hurts So Good, and I Want You to Want Me, Abby Nicole & County Road offers something for everyone. 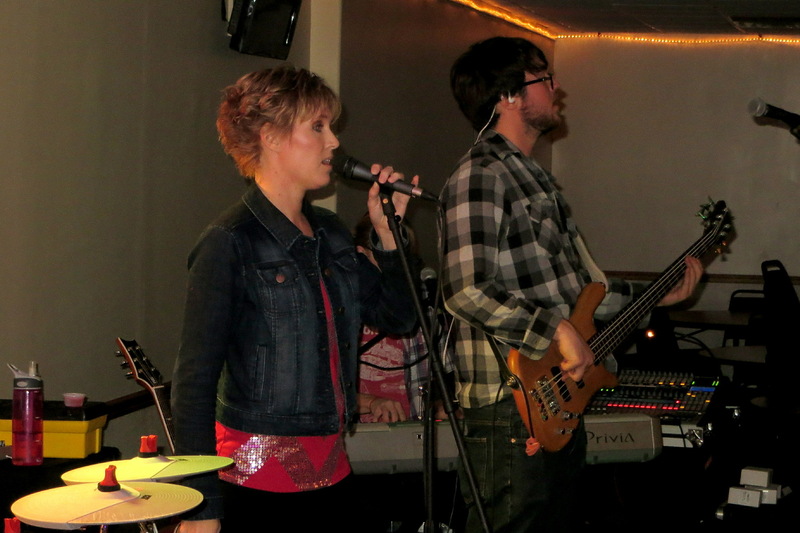 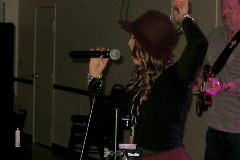 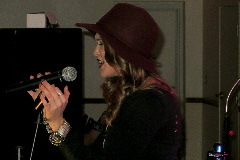 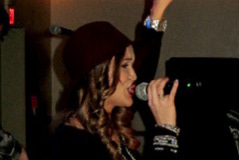 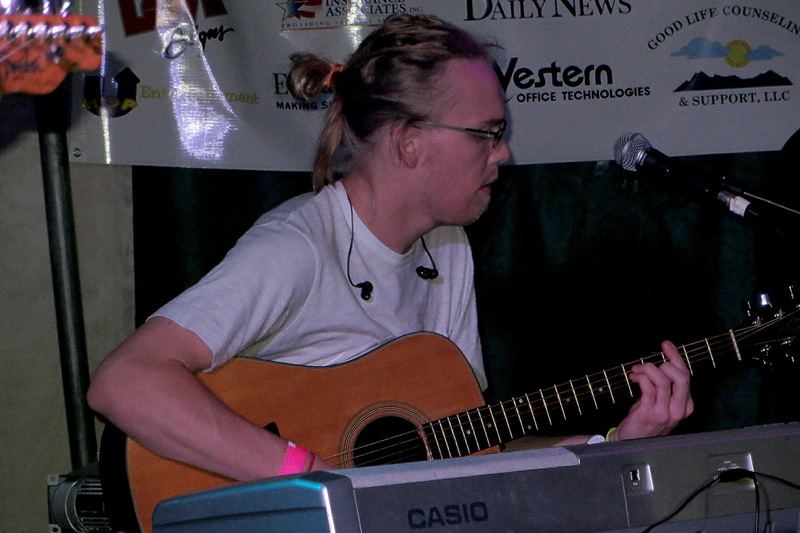 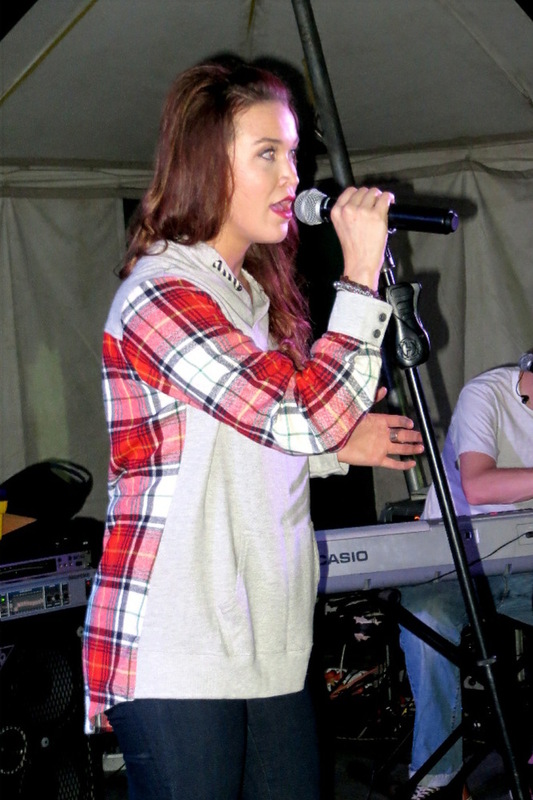 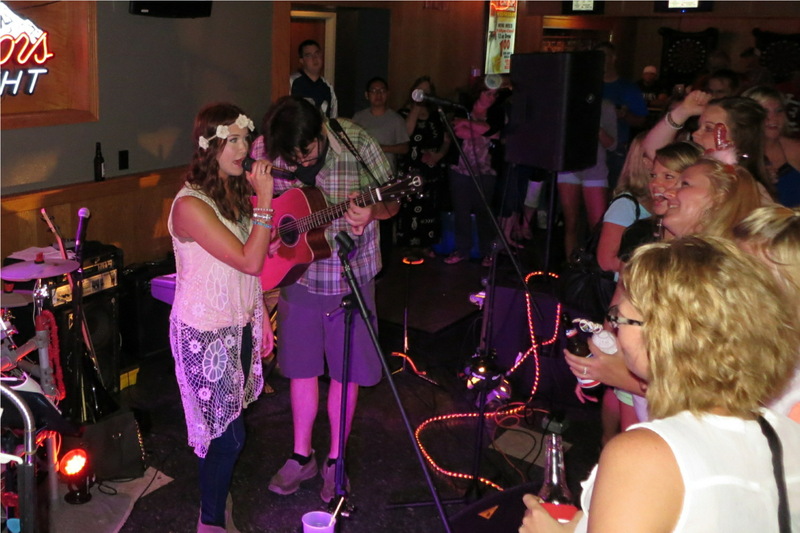 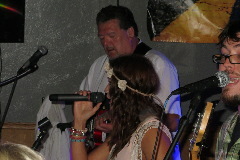 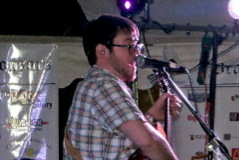 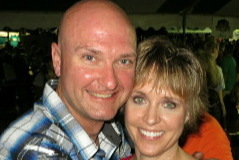 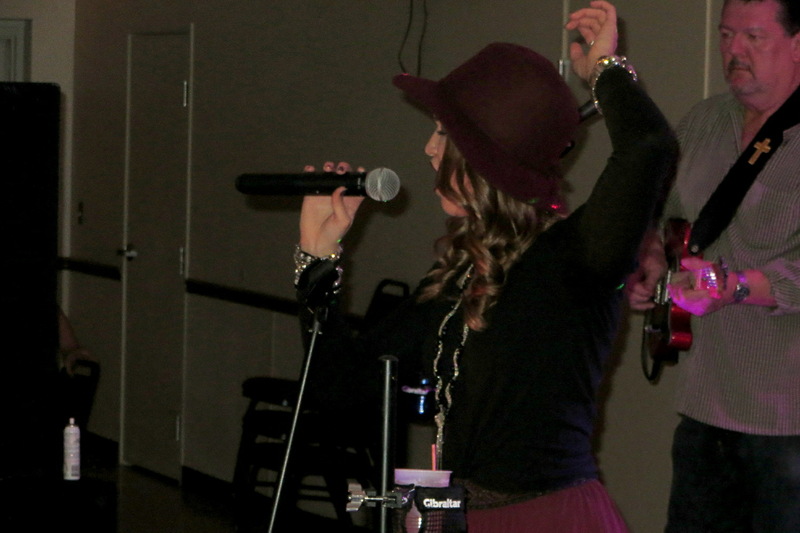 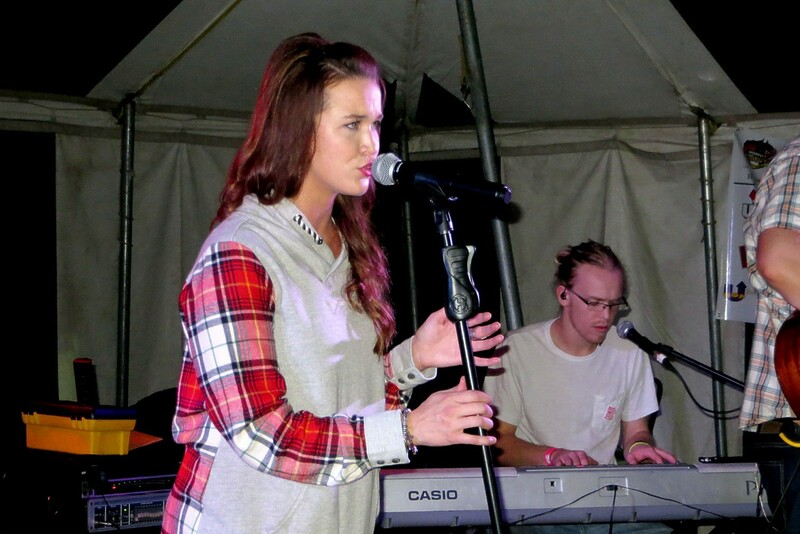 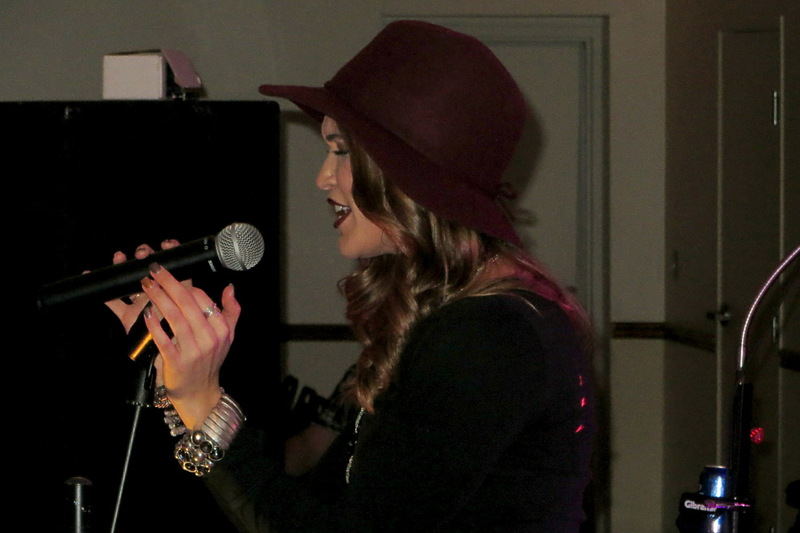 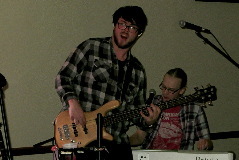 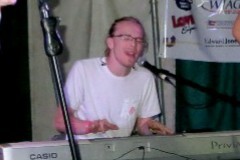 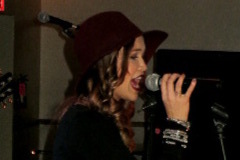 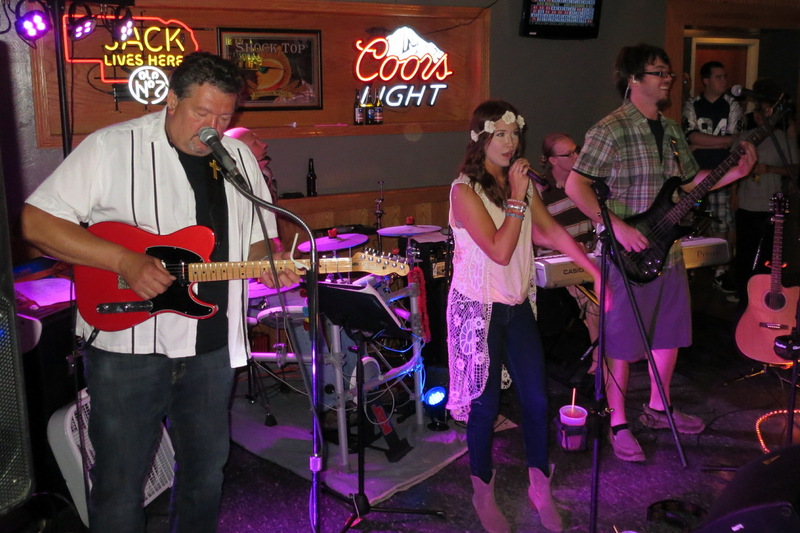 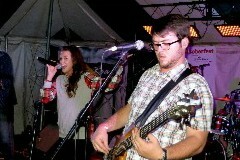 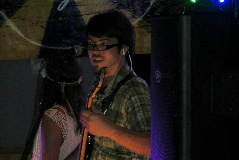 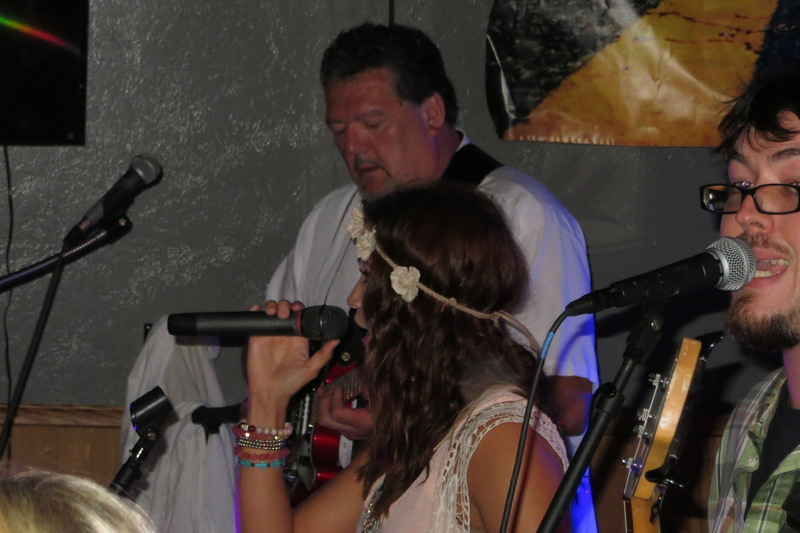 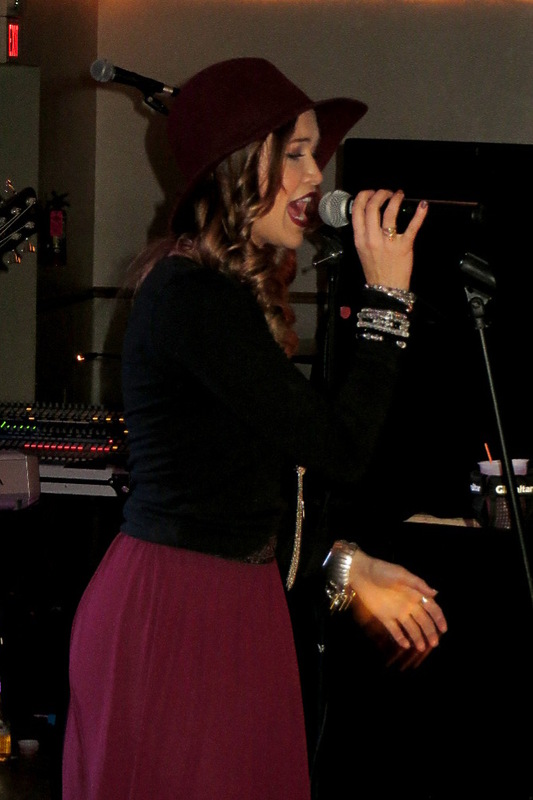 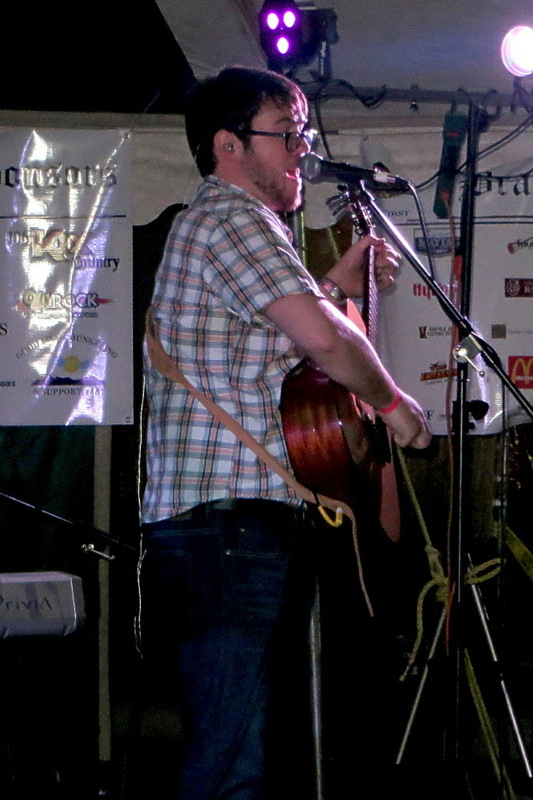 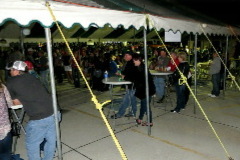 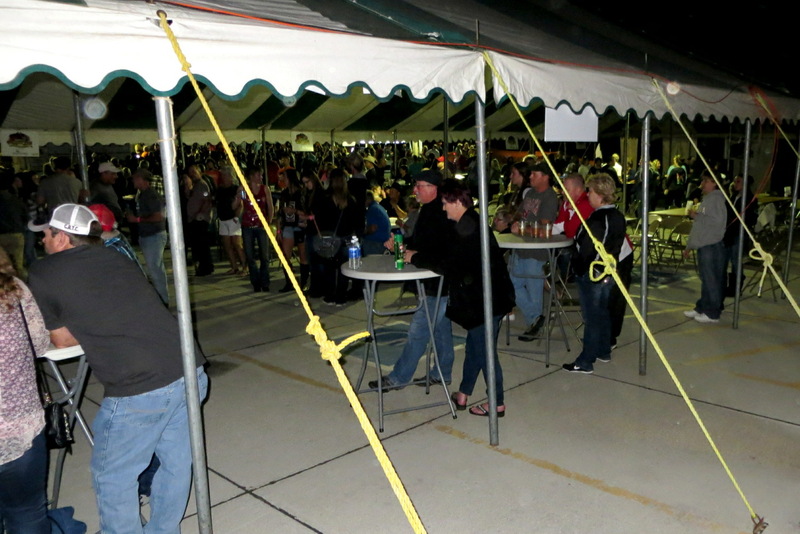 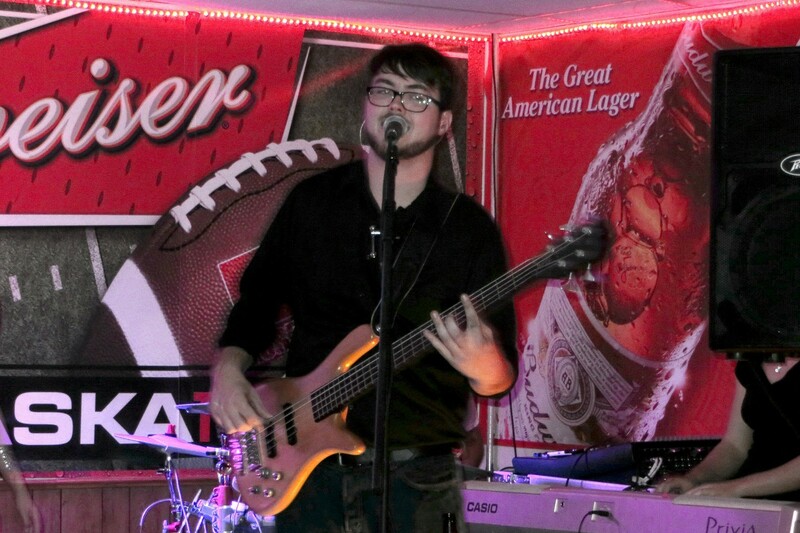 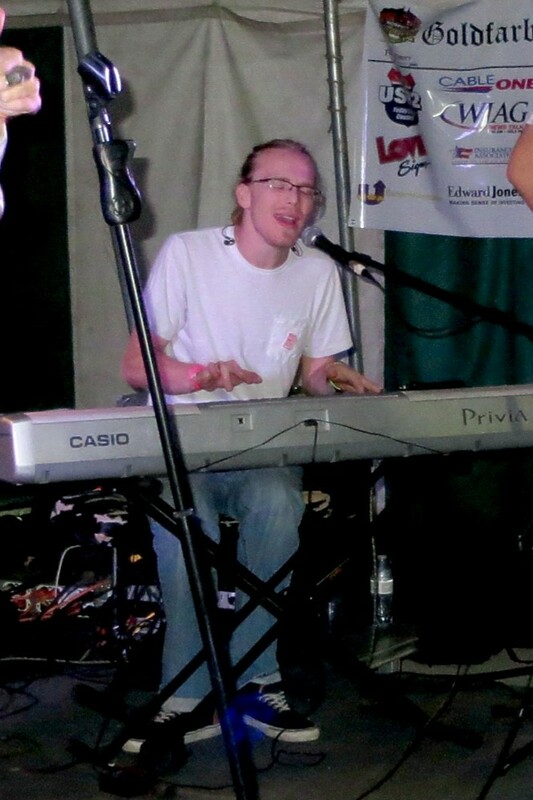 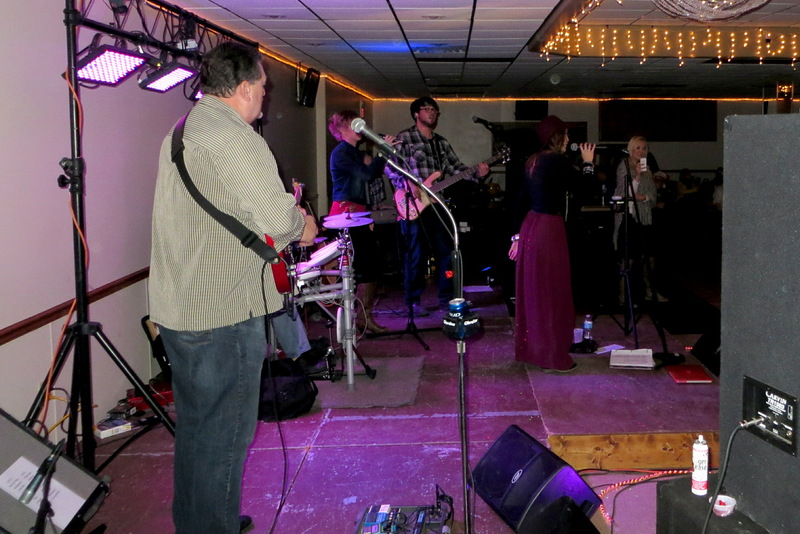 The band also performs original music, written by lead vocalist and songwriter Abby Uecker. 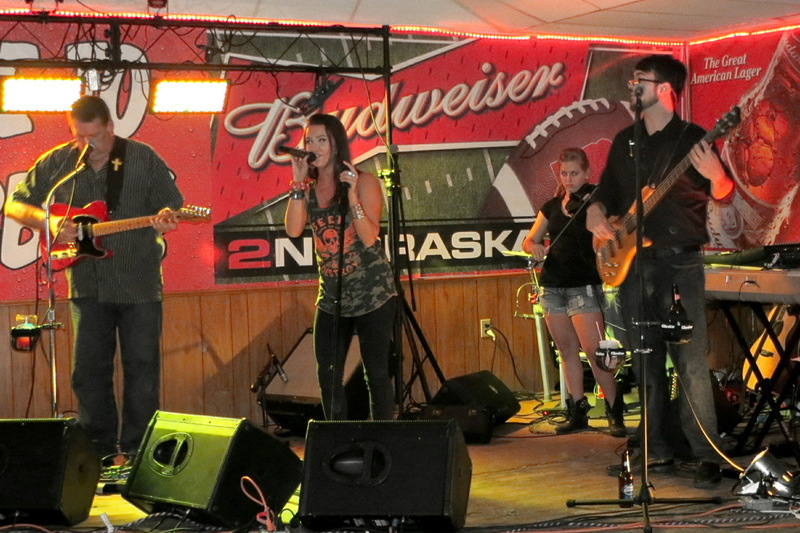 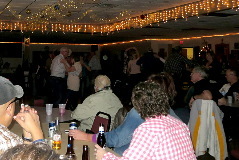 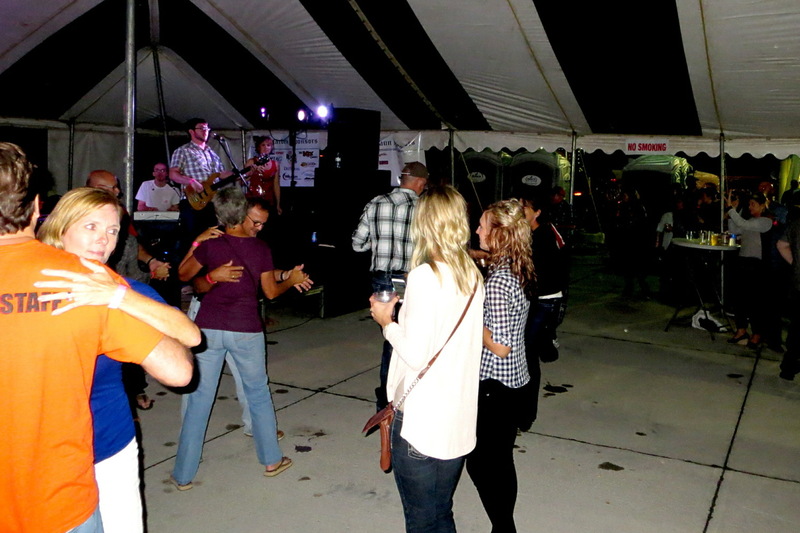 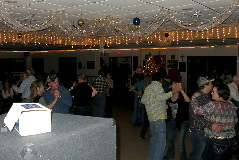 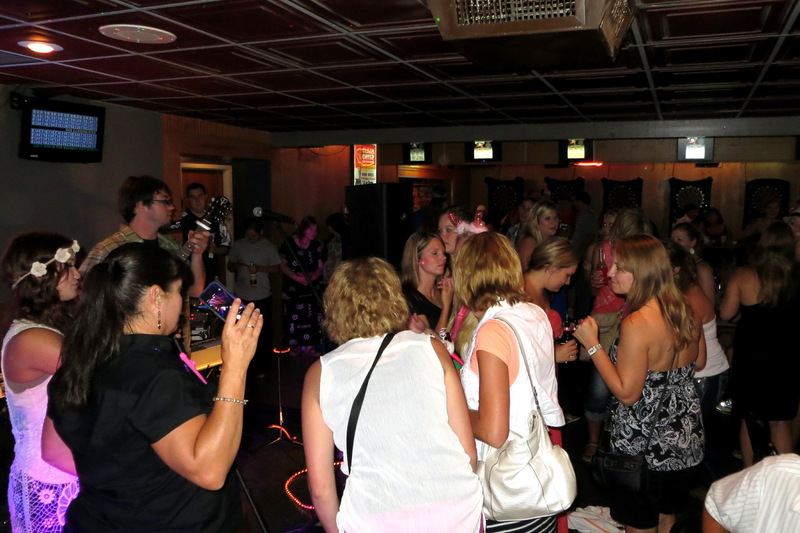 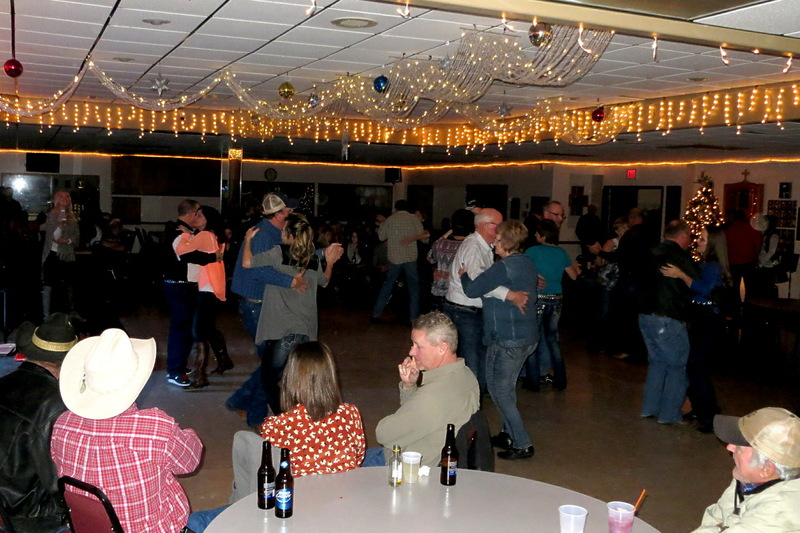 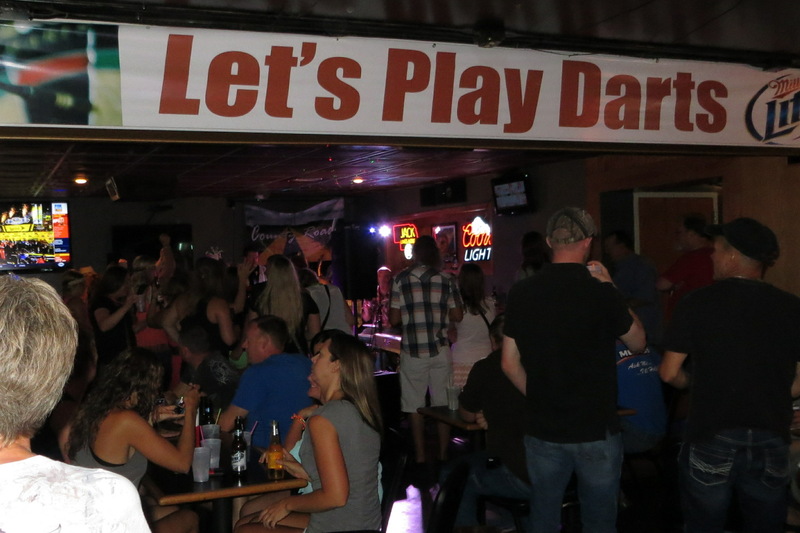 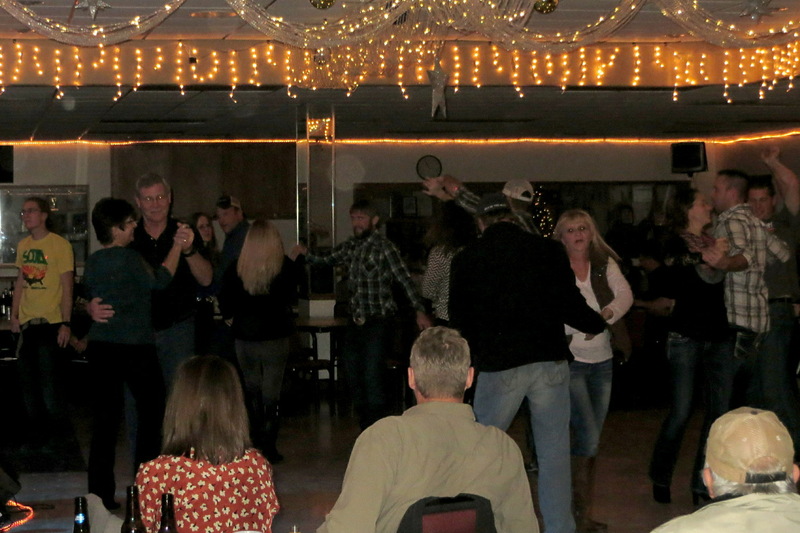 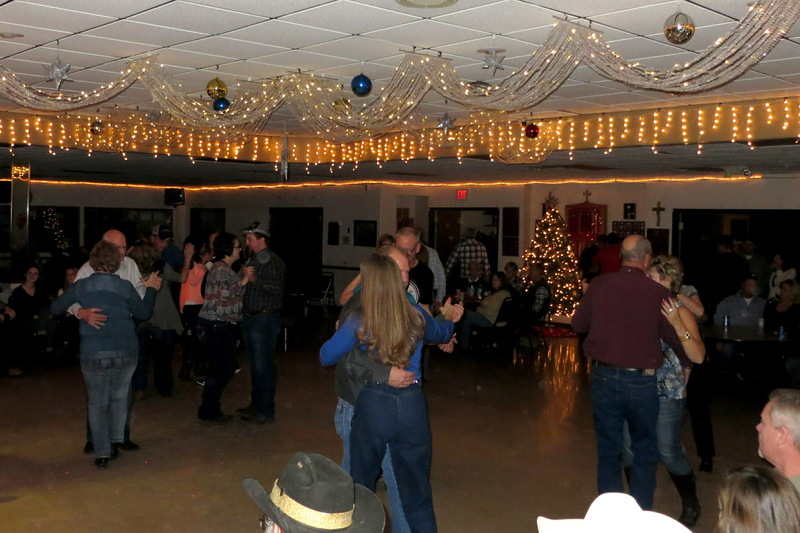 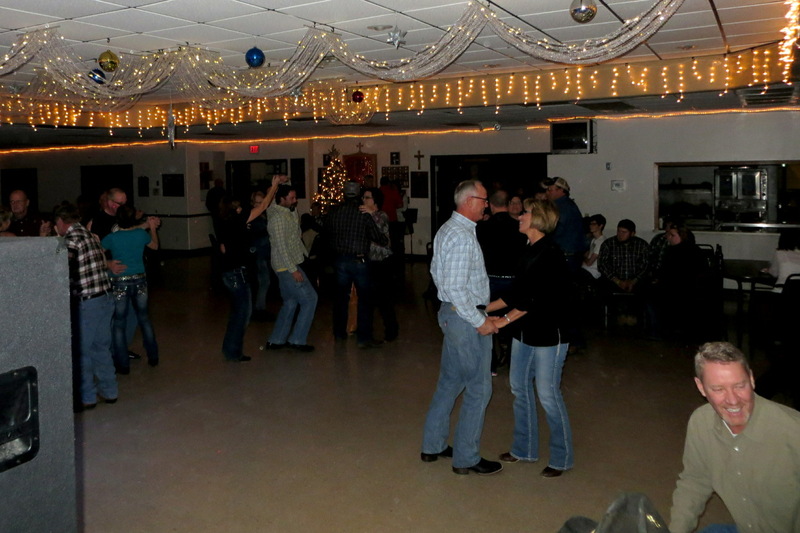 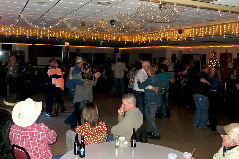 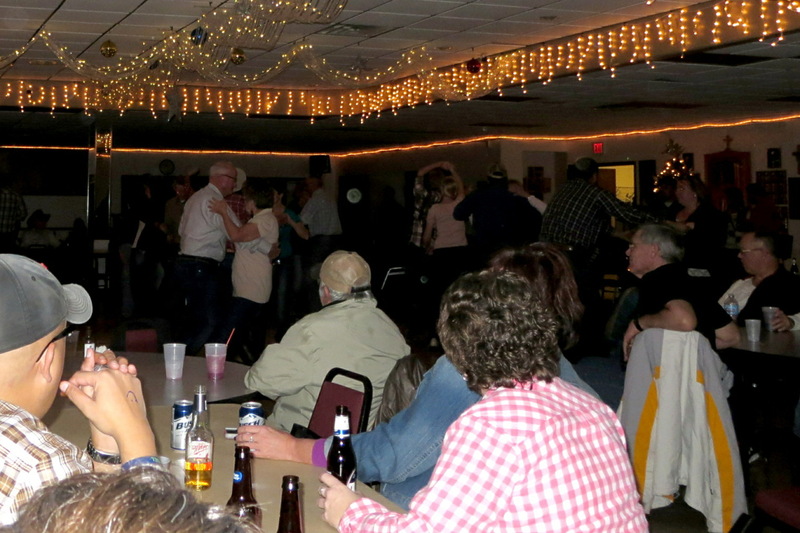 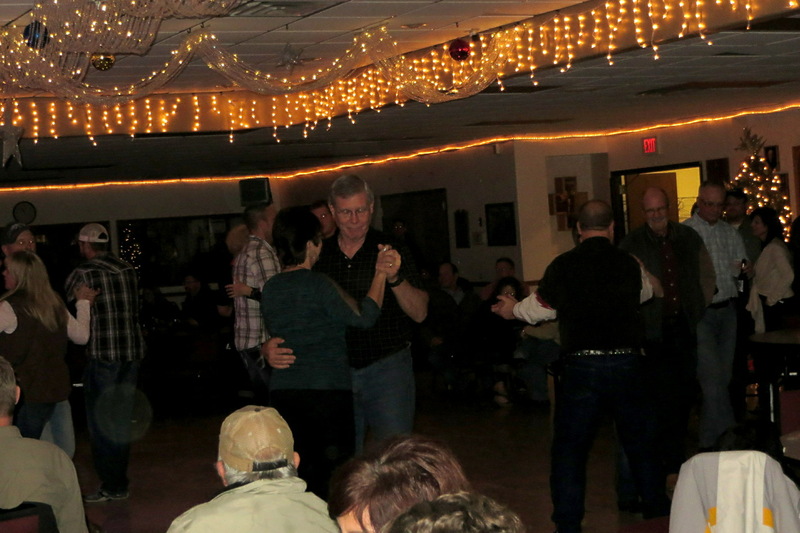 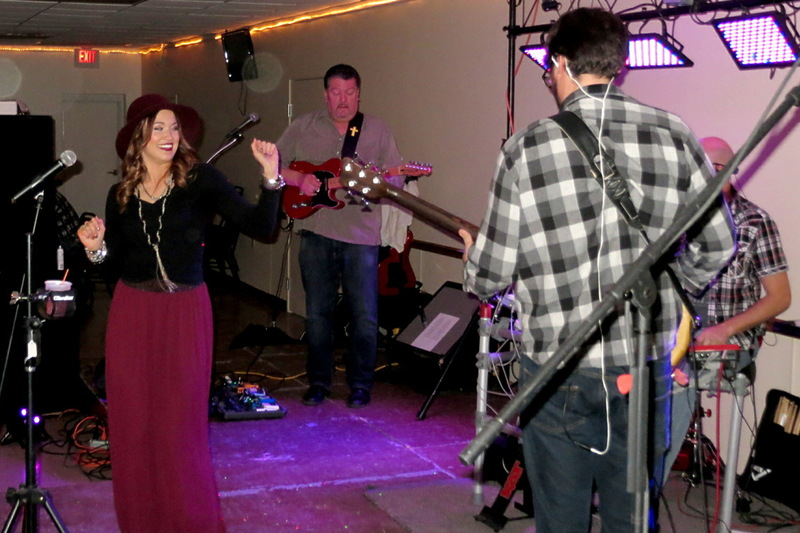 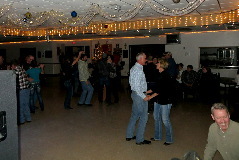 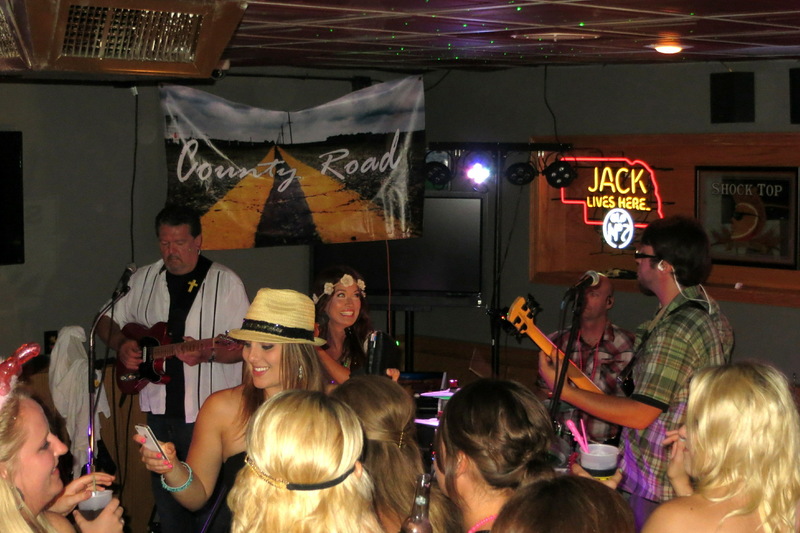 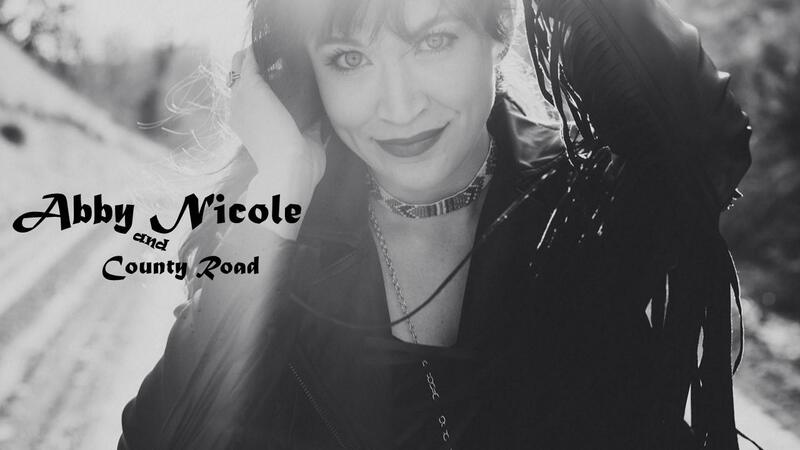 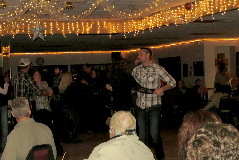 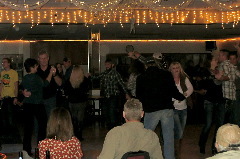 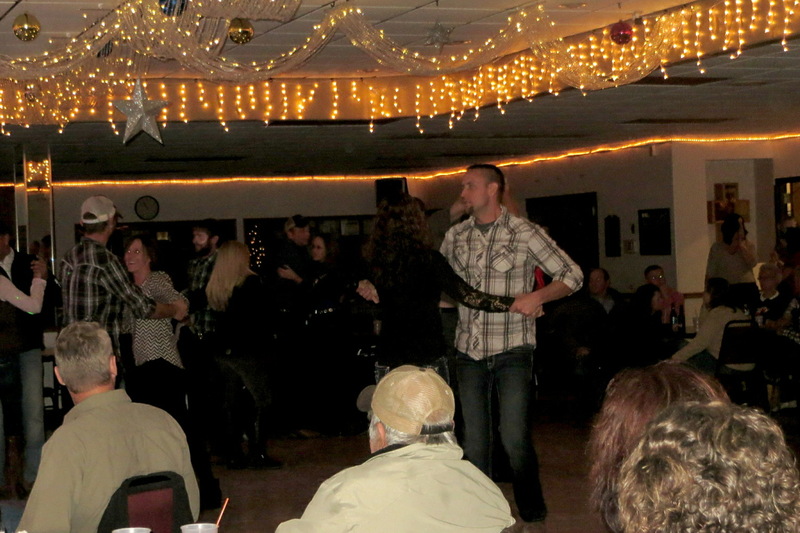 If you love to dance, or you just want to have a great time enjoying one of Northeast Nebraska's best County and Rock shows, don't miss Abby Nicole & County Road!